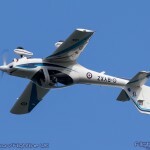 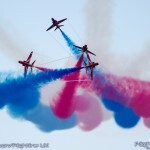 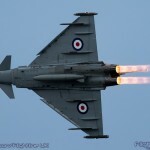 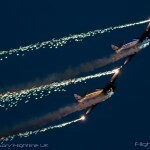 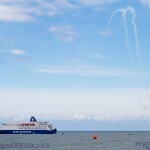 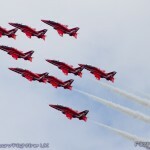 The start of the main summer school summer holidays brings with it a “season” of big seaside airshows. 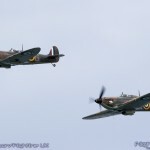 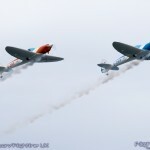 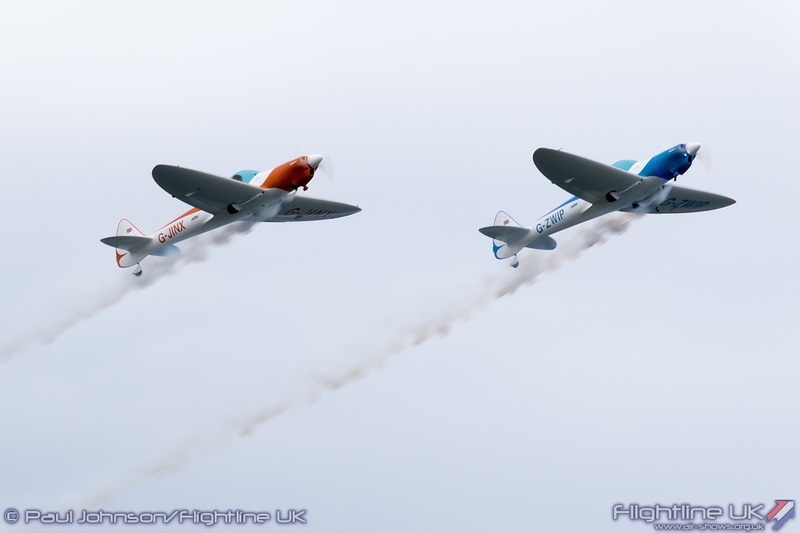 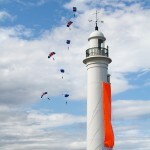 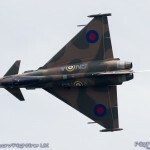 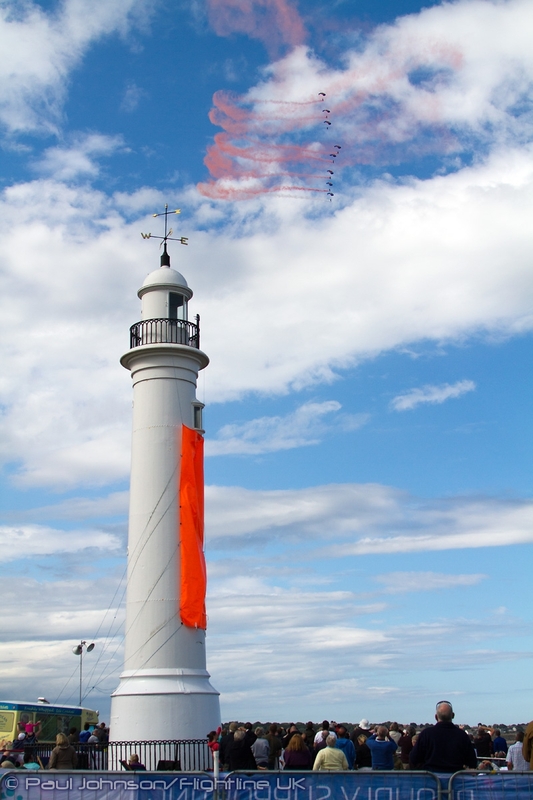 One of the biggest in the Sunderland International Airshow, the largest and perhaps most important annual event staged by the City of Sunderland. 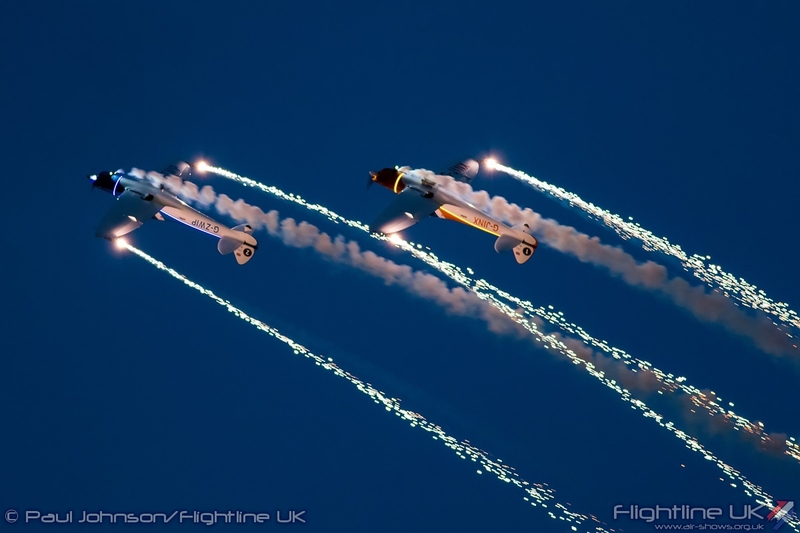 2015 saw the event truly lived up to its international title with participants from Belgium, France and Norway alongside many favourites from the UK. 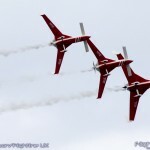 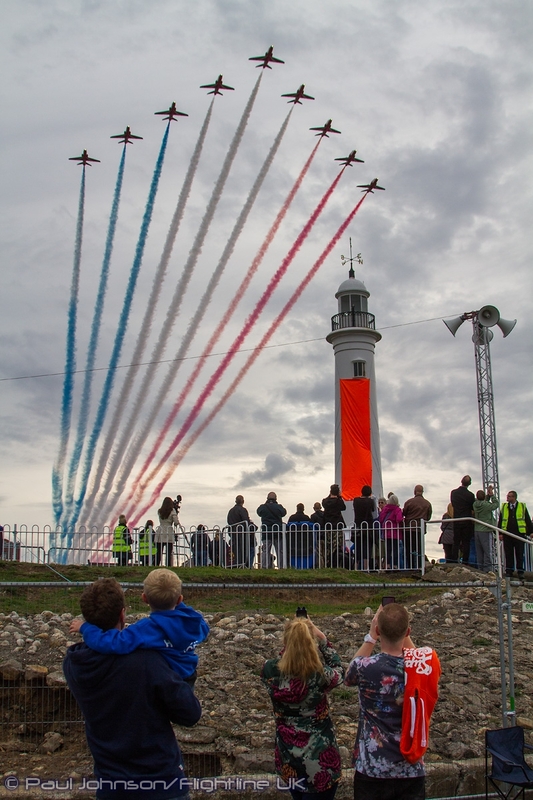 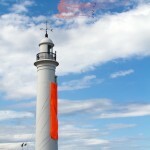 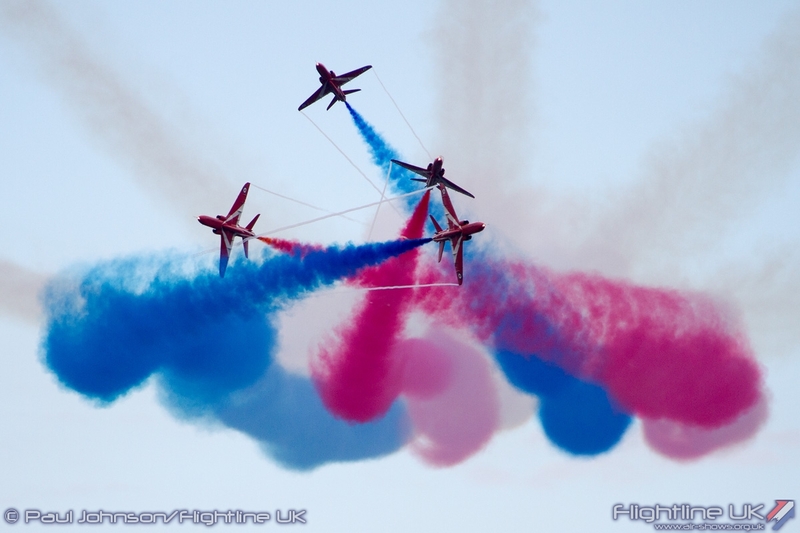 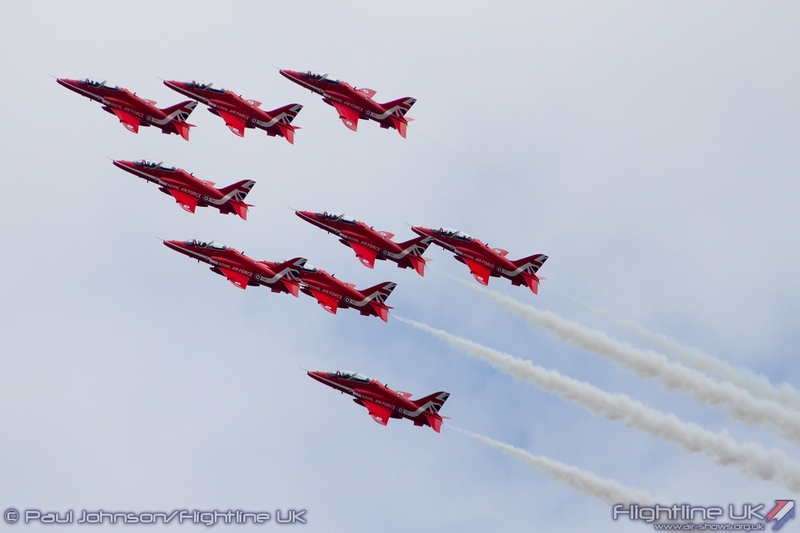 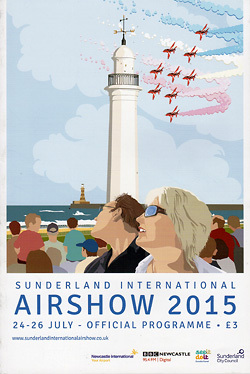 The Sunderland International Airshow is one of the biggest public events in the North East. 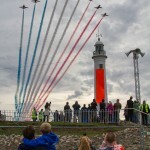 It regularly attracts crowds nearing 1 million and it estimated to bring some £12 million to the local economy through hotel stays, eating out and other business. 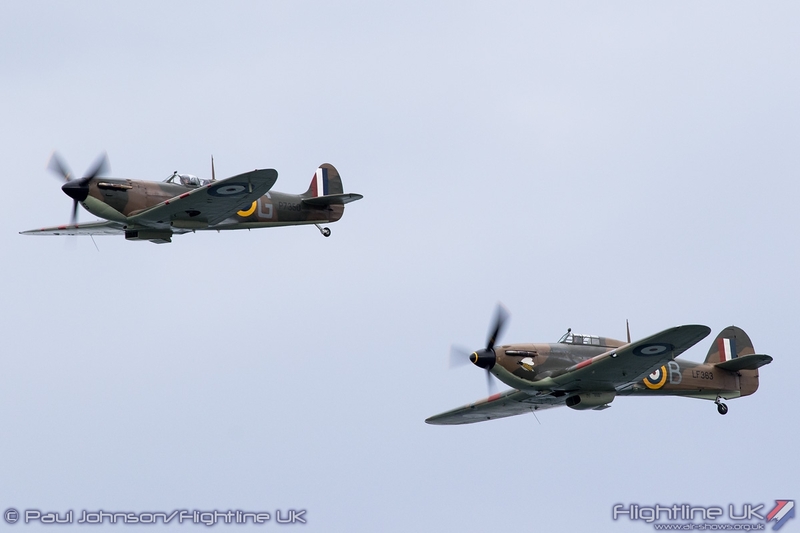 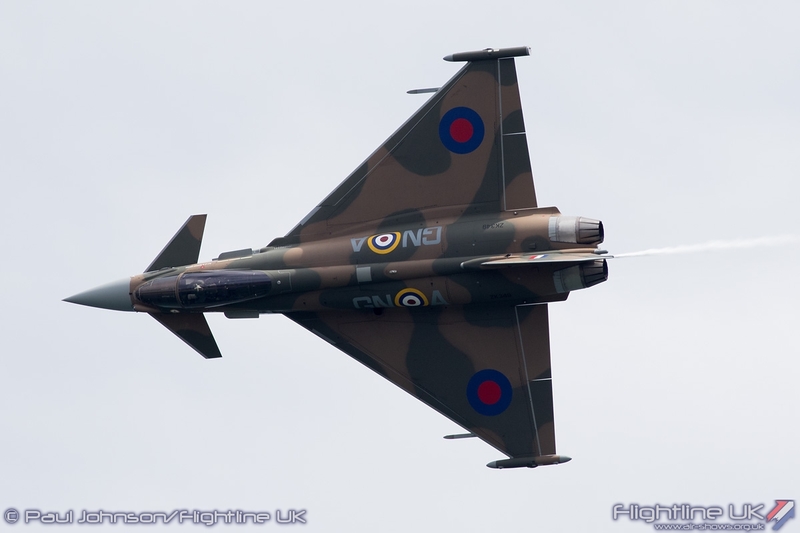 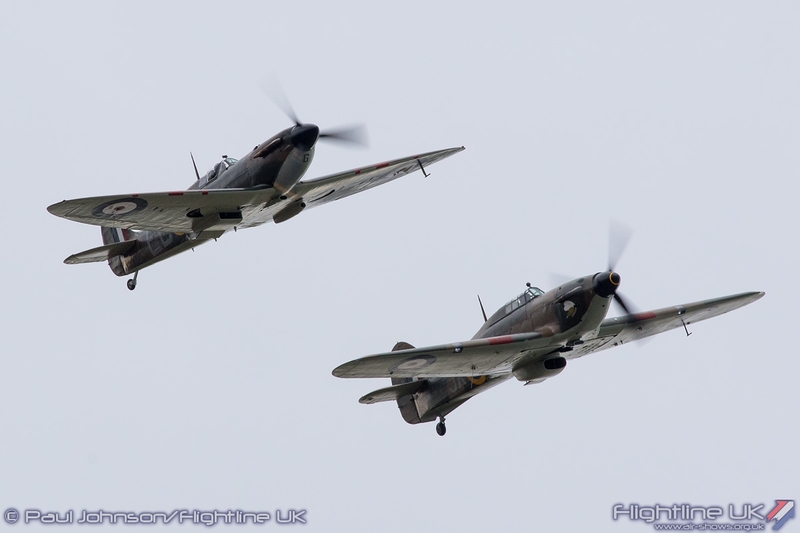 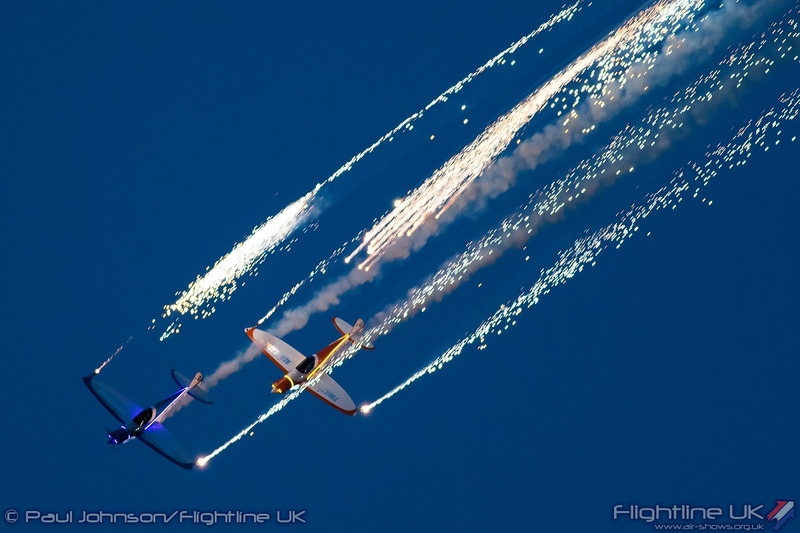 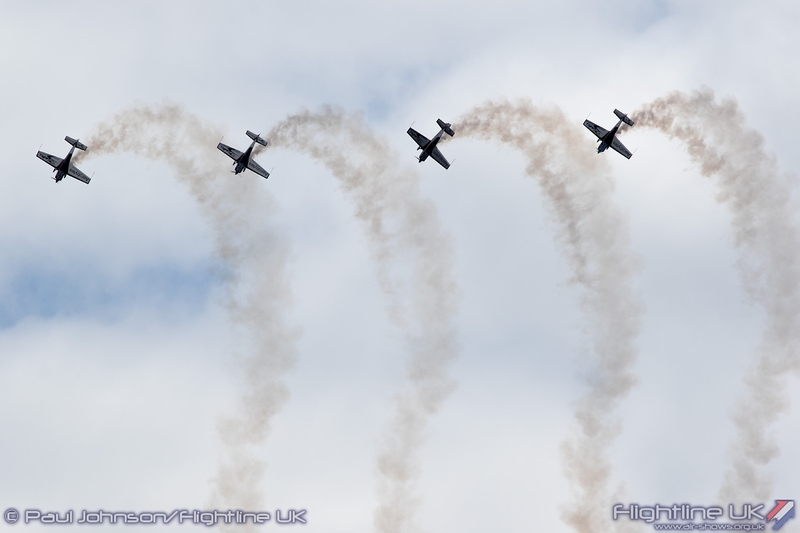 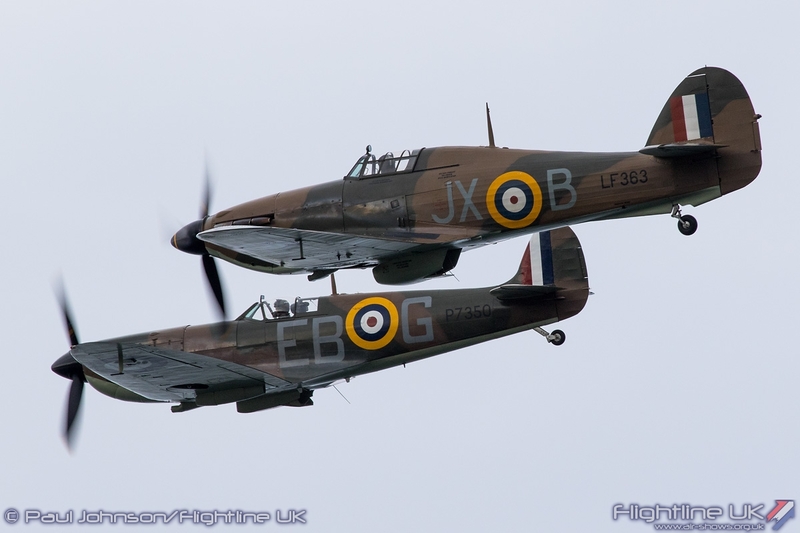 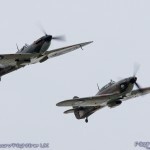 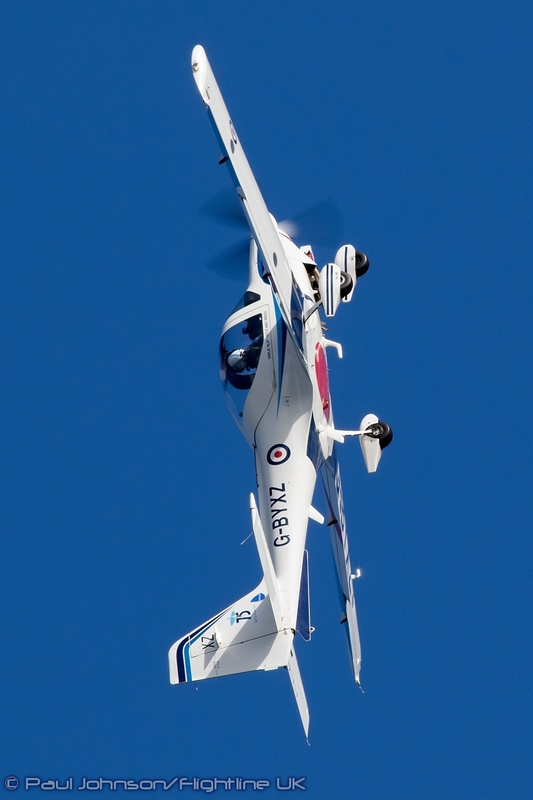 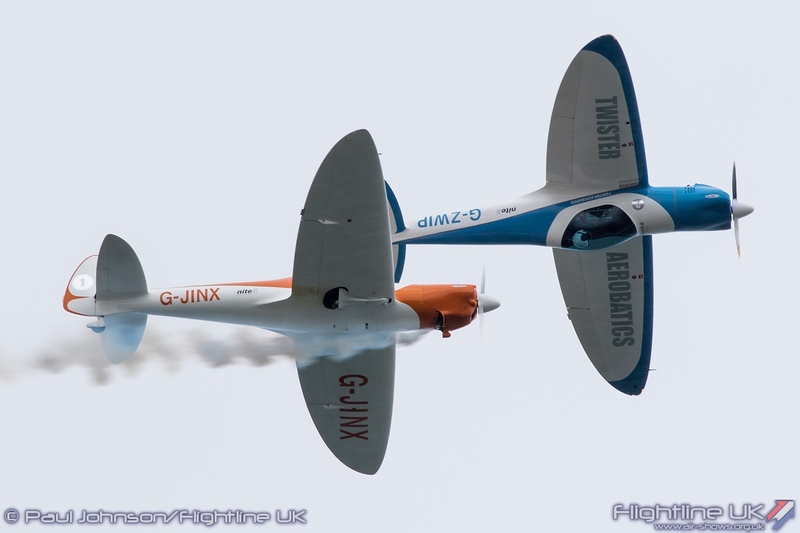 The last few years have seen the big Seaside airshows developed into much more than afternoon flying displays. 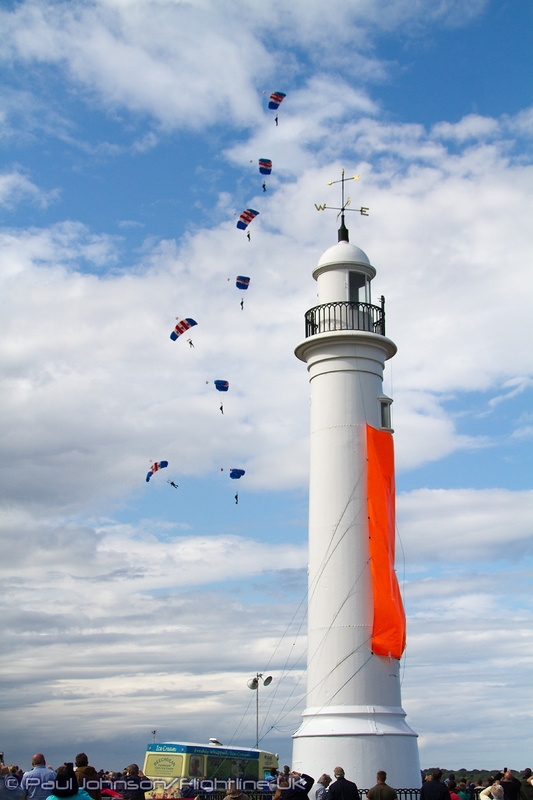 Sunderland is now a three day event which starts off with a Friday evening “Launch Party” before the main two day airshow. 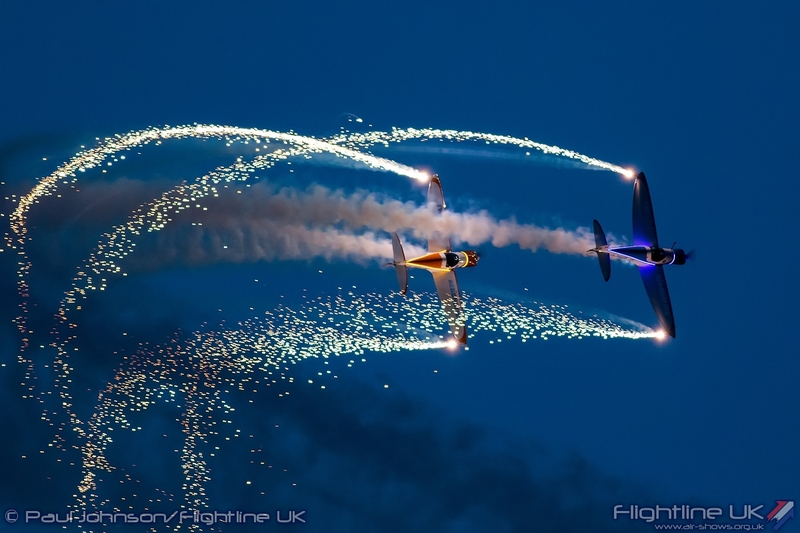 Centred around a music stage at the centre of the site, Live music by local and military bands is interwoven with flying displays culminated in a fireworks display. 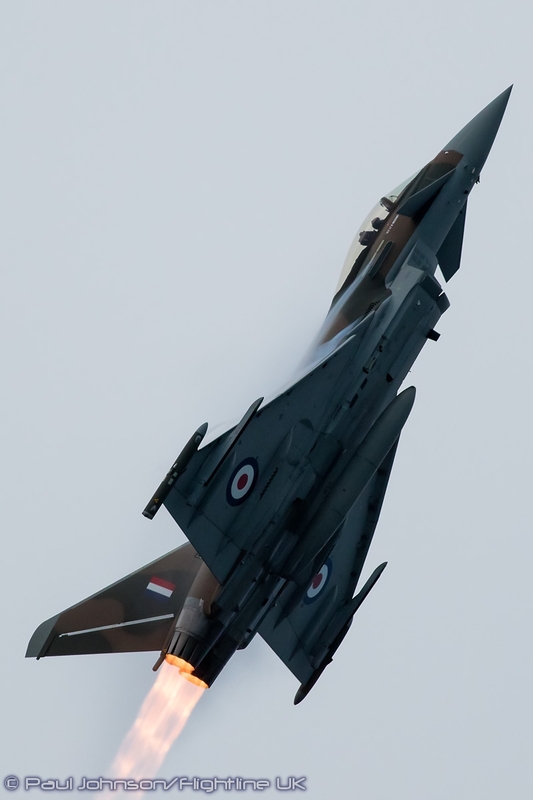 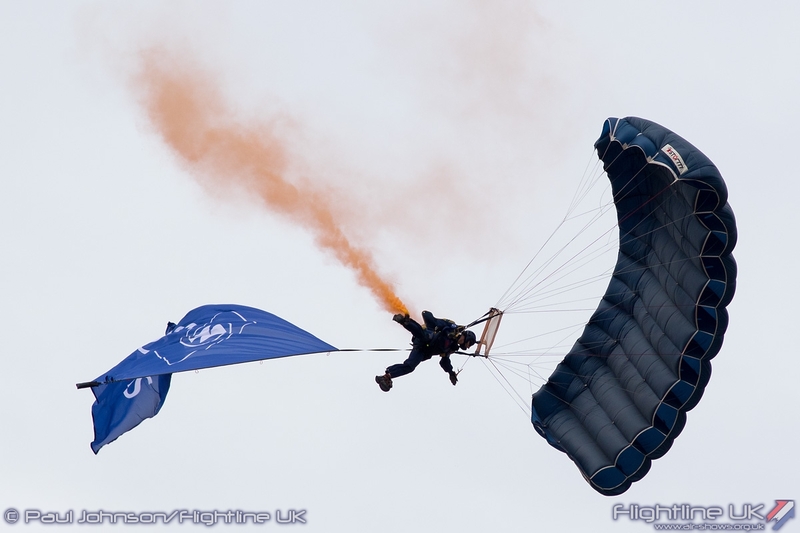 The flying element for the Launch Party has really grown in the past three years and now features almost all the RAF displays allocated to the event plus a pyrotechnic display from the Twister Aerobatics Team before the fireworks finale. 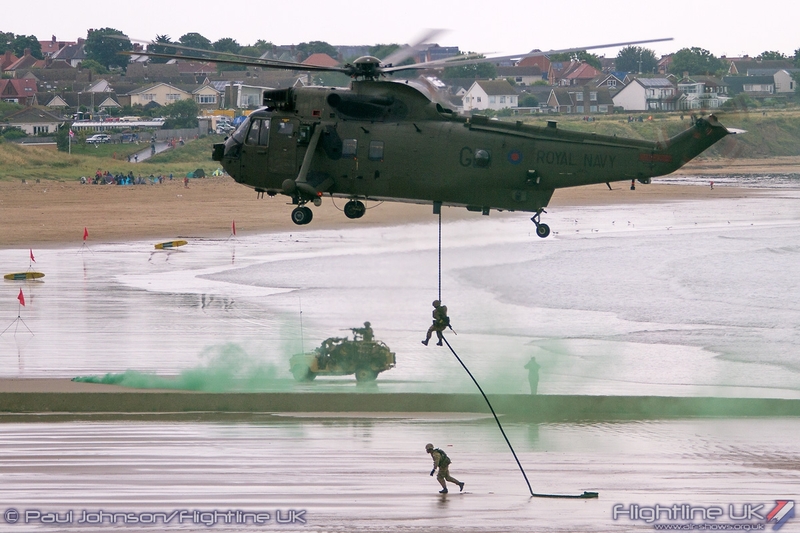 As with many of the big seaside events, support from the armed forces was particularly strong. 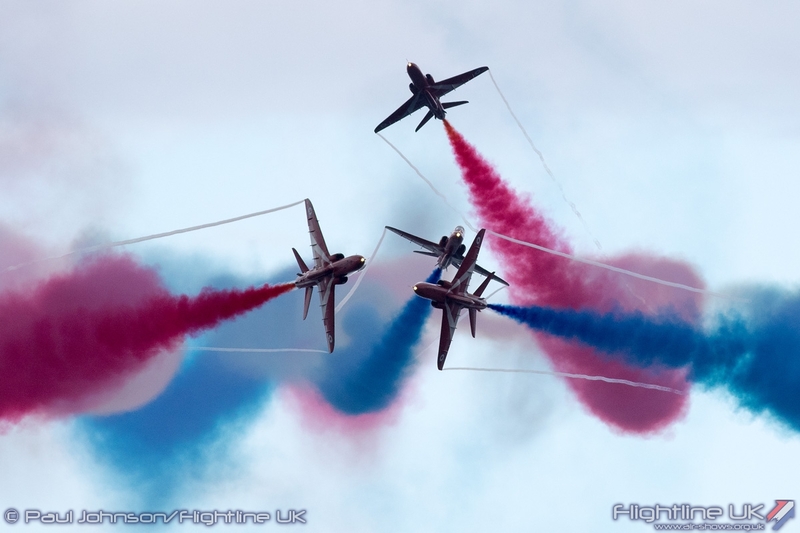 The Red Arrows performed on all three days of the show. 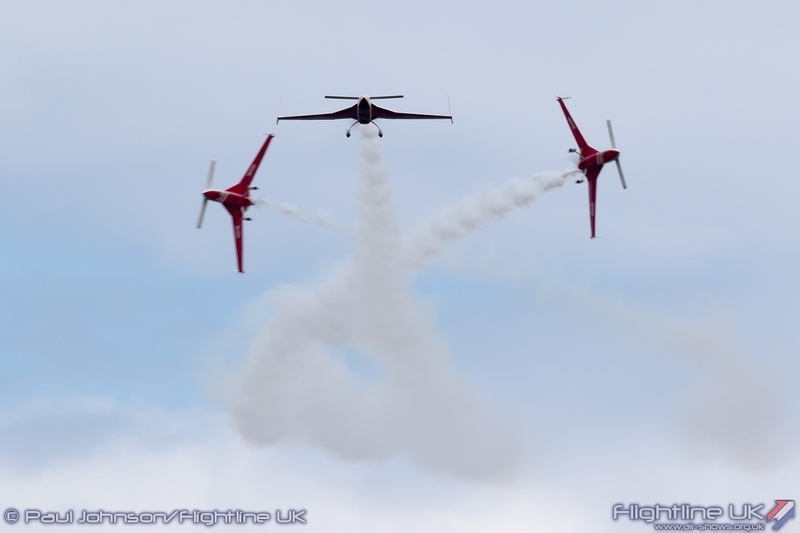 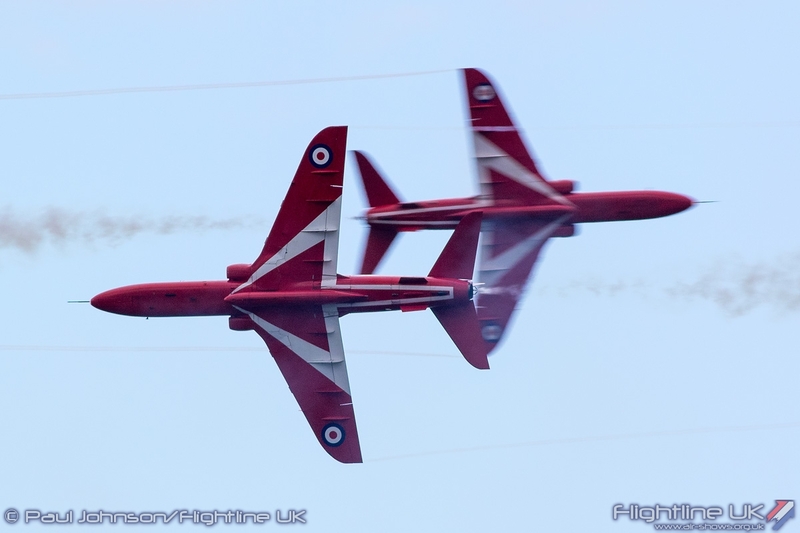 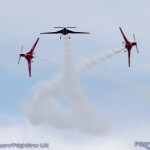 While Friday saw a very high cloud base allowing a full display, their weekend performances were a little more problematic with Saturday’s display coming to end just as a very heavy shower rolled in! 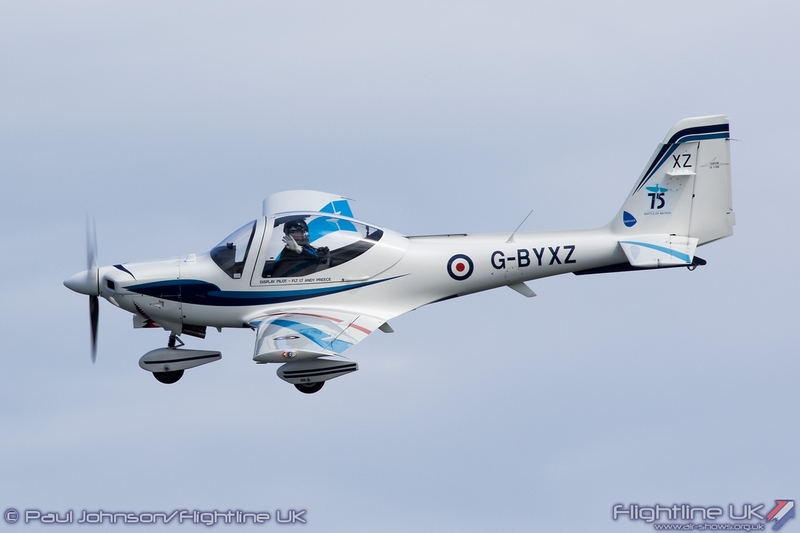 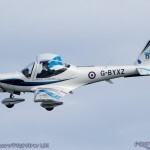 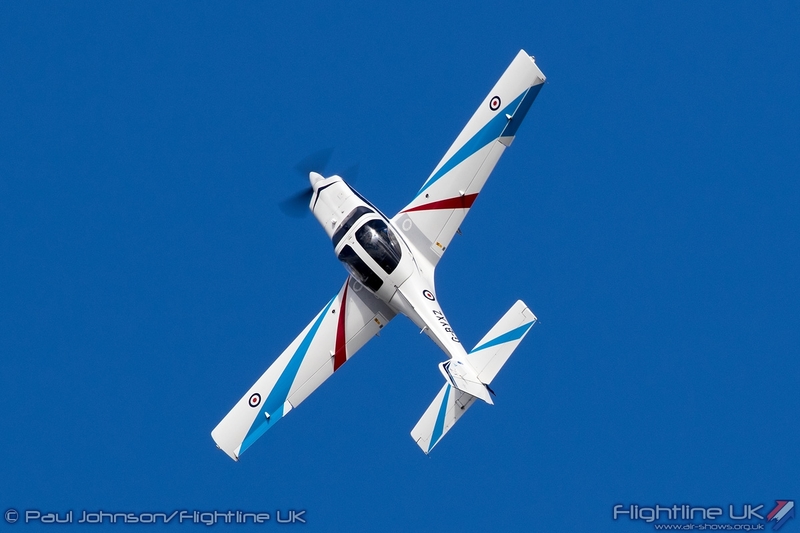 Also flying on all three day were the Grob Tutor T1 flown by FL Lt Andy Preece and the Eurofighter Typhoon FGR4 solo flown by Flt Jonny Dowen. 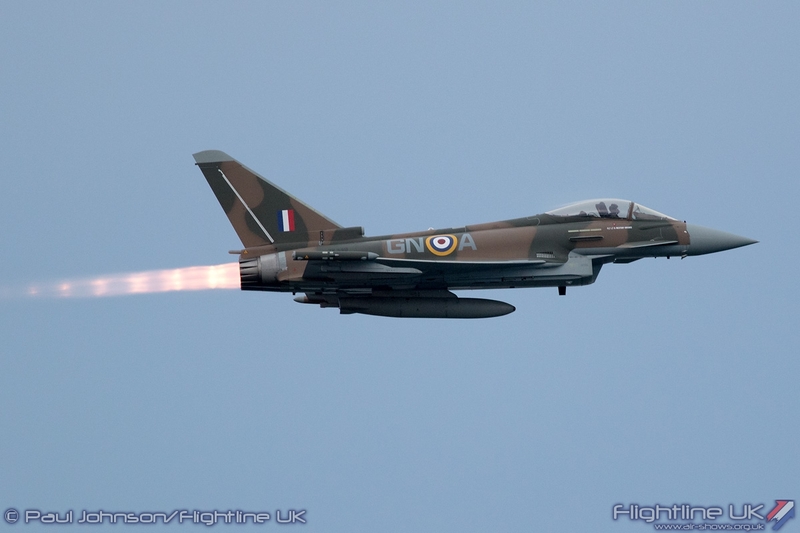 The Typhoon was particularly impressive during the Friday night show. 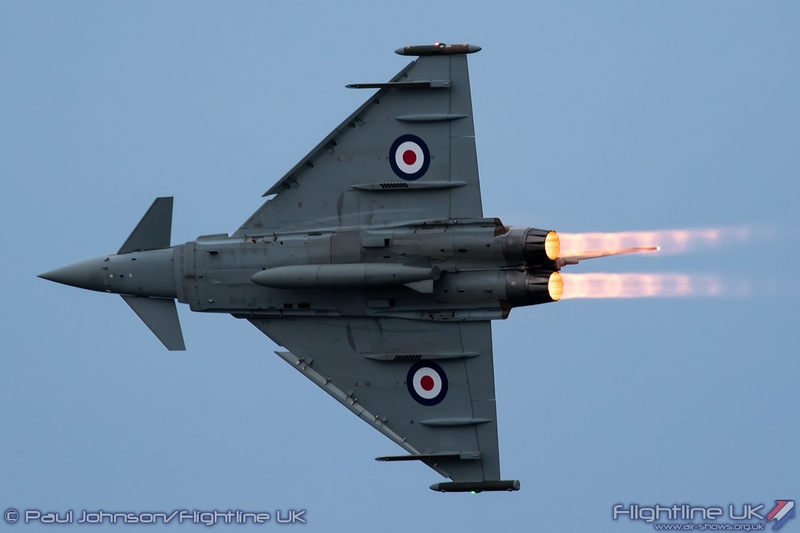 Delayed until after 9pm, the reheat of the Typhoon’s EJ200 engines shone incredibly brightly as Flt Lt Dowen powered his way through the twilight. 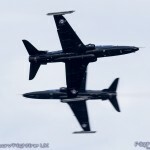 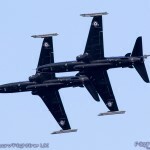 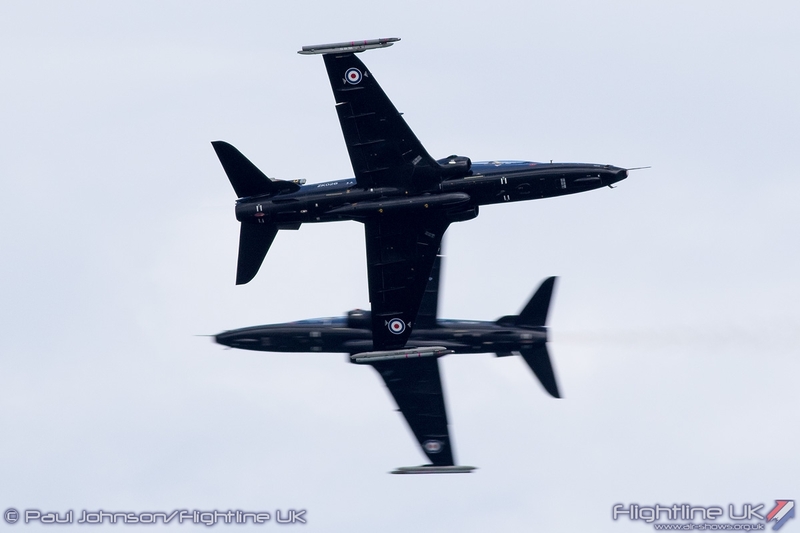 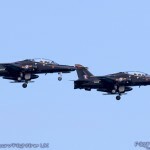 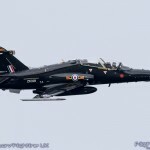 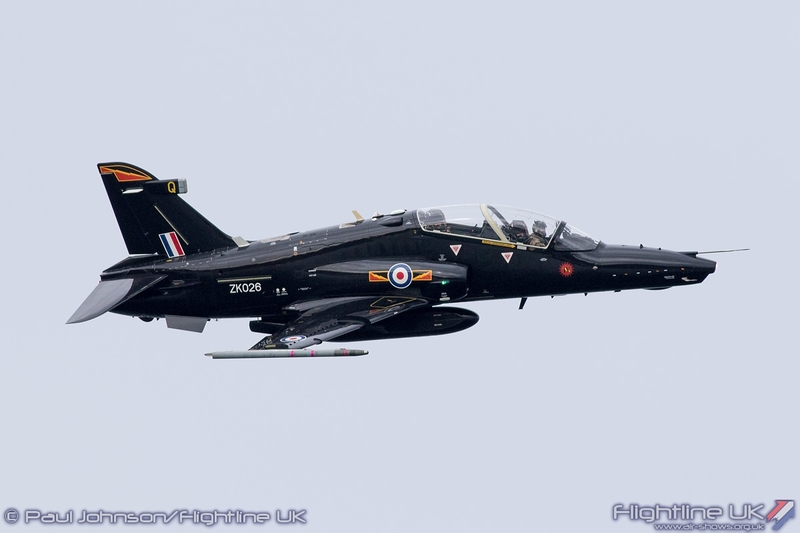 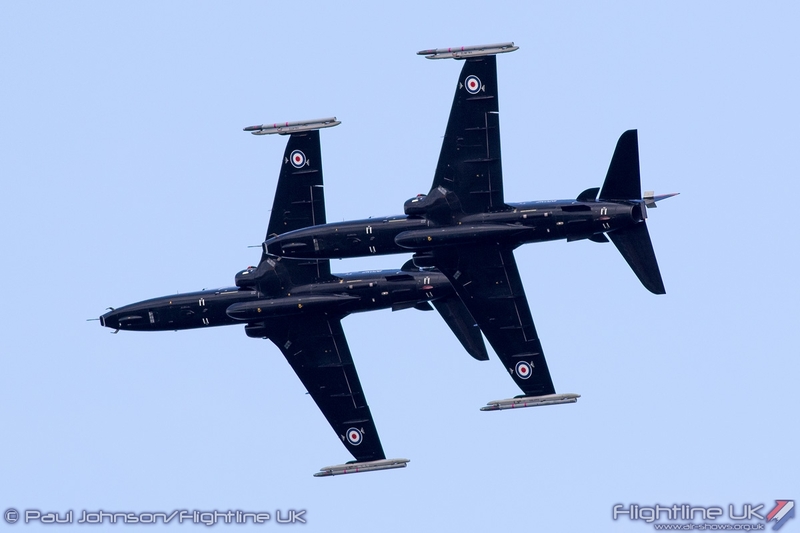 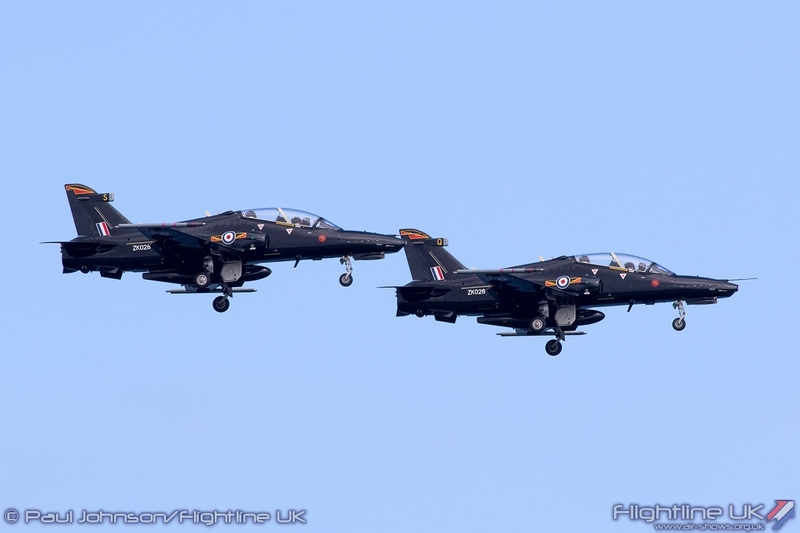 Sunderland also saw the second public appearance by the BAE Systems Hawk T2 Role Demonstration team, Team ‘Ninja’ who also performed on all three days. 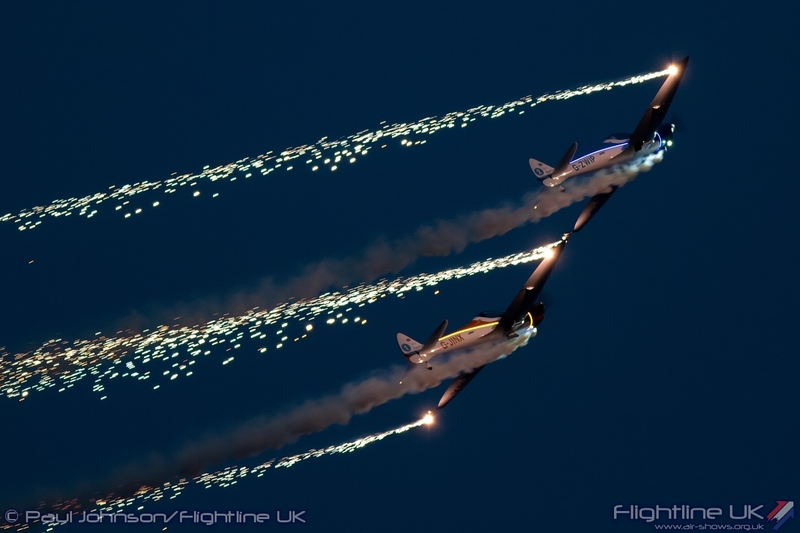 With the addition of some spectacular pyrotechnics on the beach, Team ‘Ninja’ are certainly a very impressive and eye-catching addition to the display circuit. 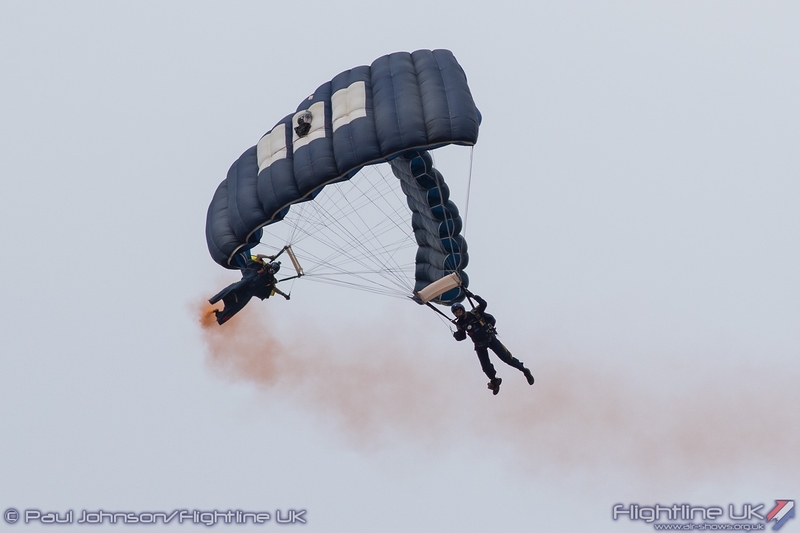 The weekend also saw the RAF Falcons Parachute Display Team added to the display, though weather precluded a drop on Sunday. 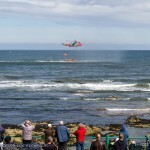 The Falcons have been Sunderland favourites for many years with their trademark stack formations and landing right in front of the spectators on the large beach. 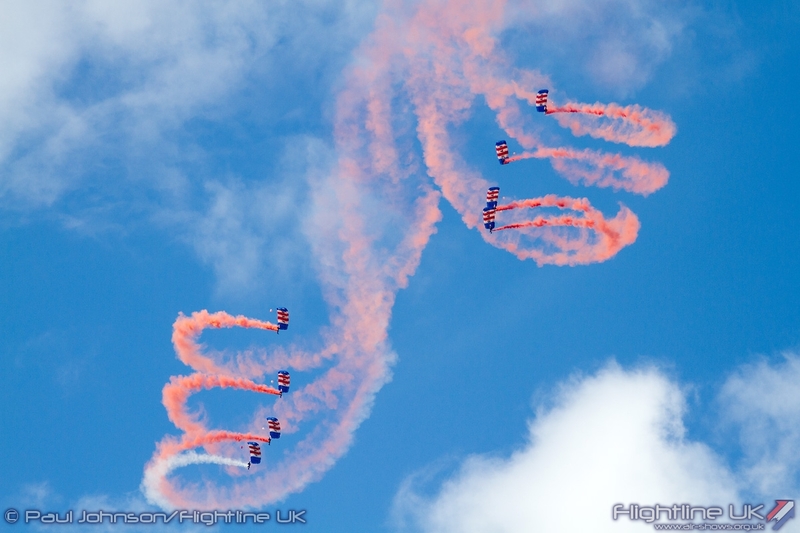 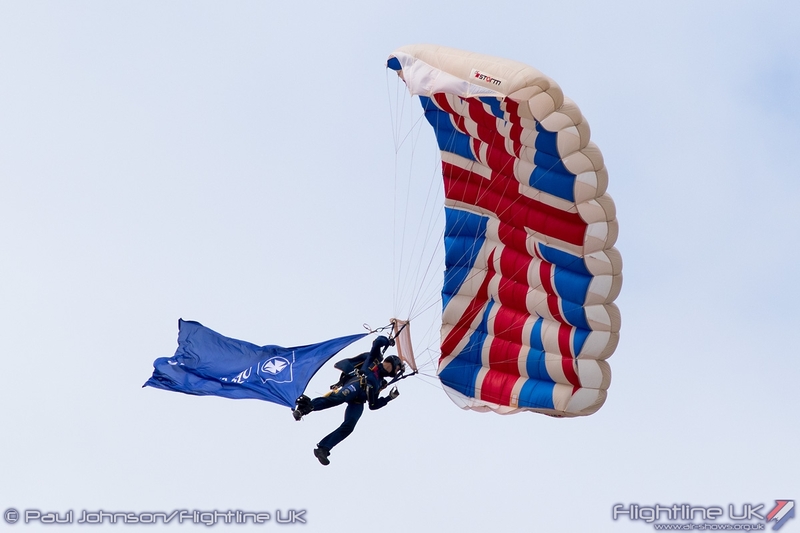 For 2015 they were joined by some counterparts from the British Army in the form of the Tigers Freefall Parachute Display Team from the Princess of Wales Royal Regiment. 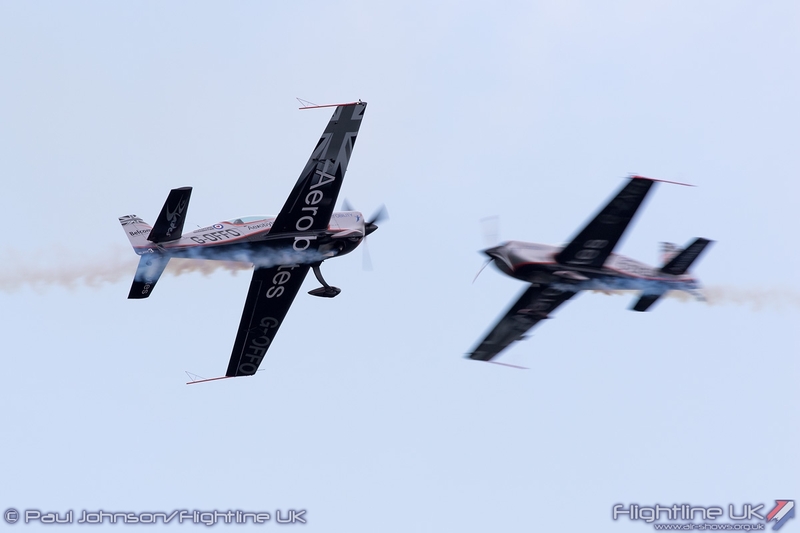 The Tigers are very different to Falcons demonstrating a high speed wing suit and very different canopy work on the way down. 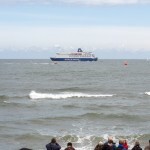 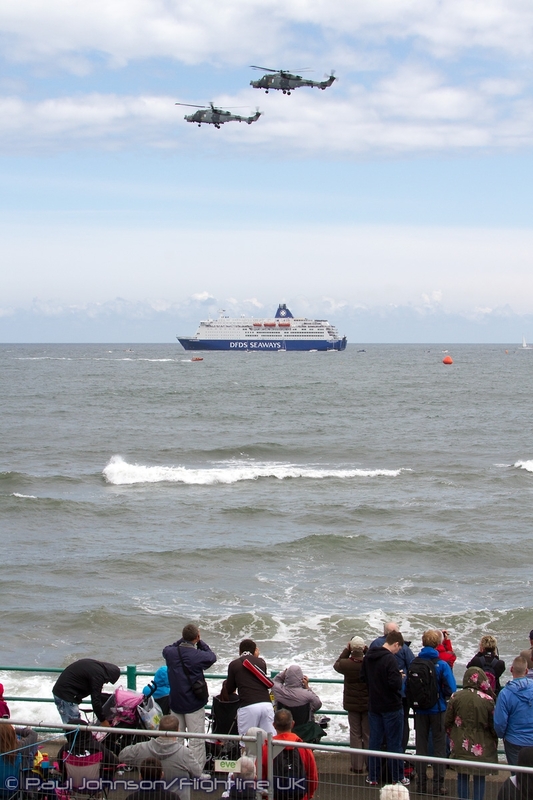 The team are supported by DFDS Seaways which also had a very large presence out to see with one of their ships mooring just outside of the display area on their way up the North Sea Coast. 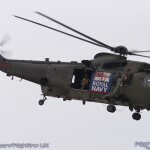 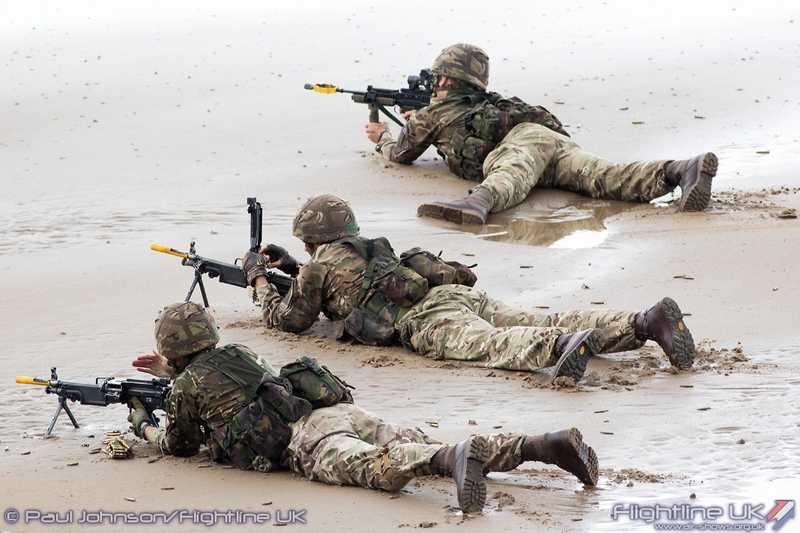 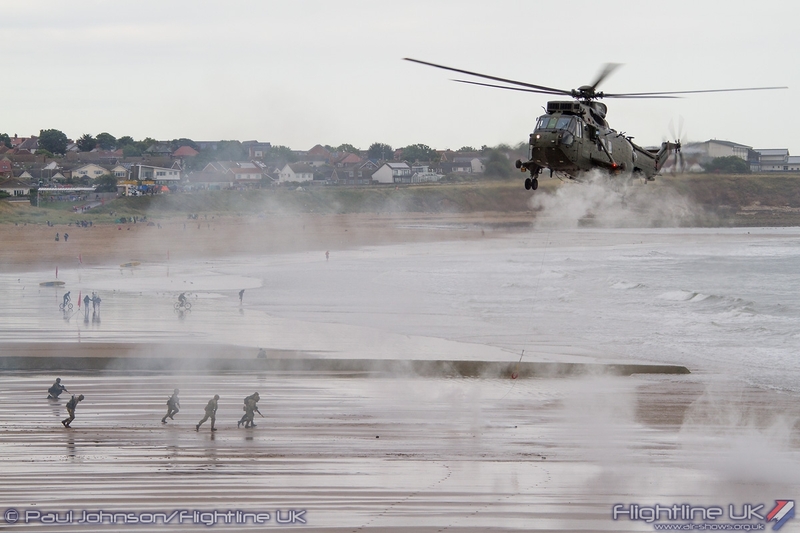 Completing the military participation at Sunderland was a large contingent from the Royal Navy and Royal Marines. 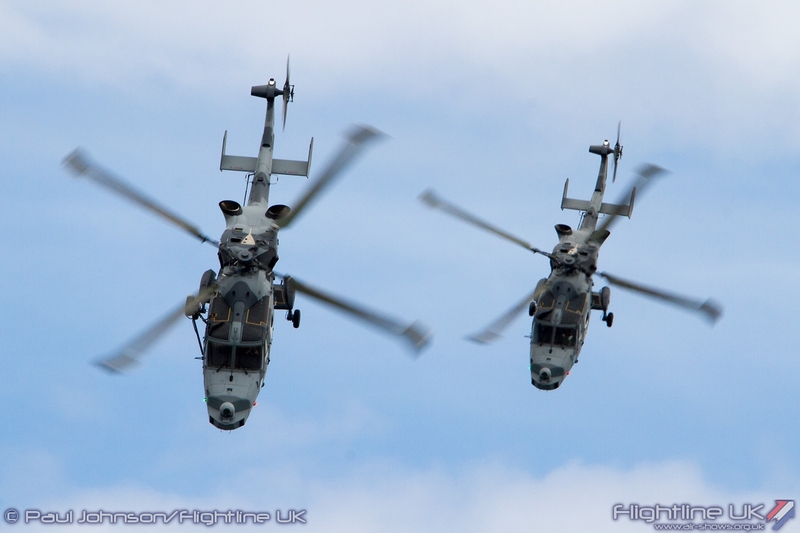 The Black Cats Helicopter Display Team are Sunderland regulars. 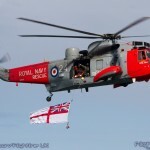 Sunderland’s own football team are also known as the Black Cats and the club has in the past supported the team by offering a landing site to mark to synergy between the two organisations. 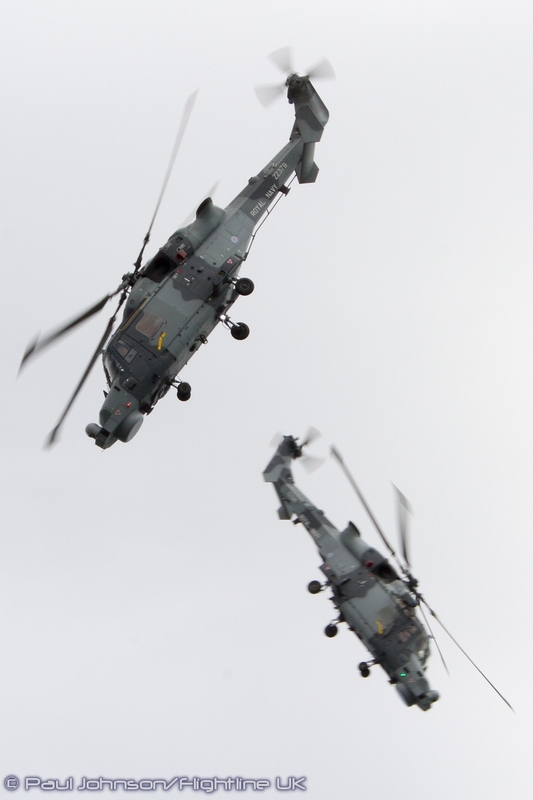 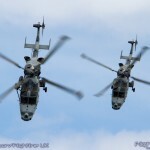 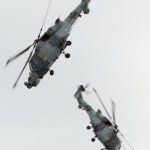 This year saw the Black Cats display their pair of Wildcat HM2s at Sunderland for the first time with their usual precision display. 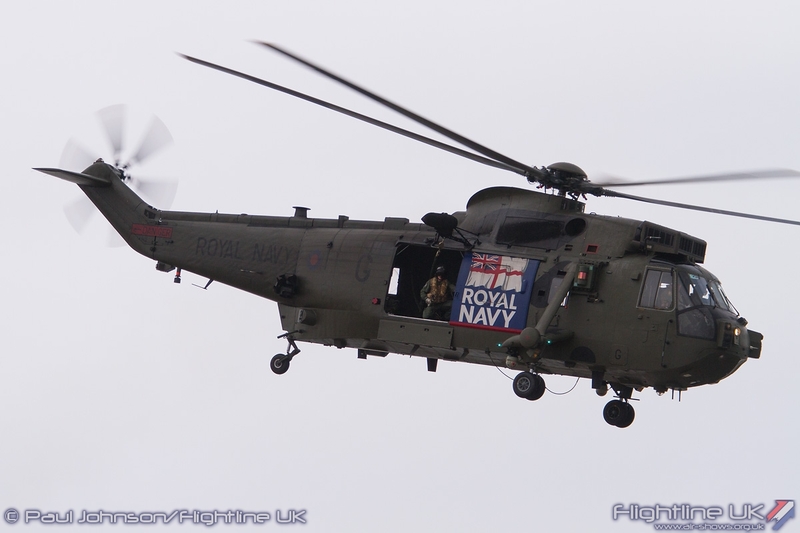 The furthest travelled of the military displays was the Westland Sea King HU5 of 771 NAS based at RNAS Culdrose in Cornwall. 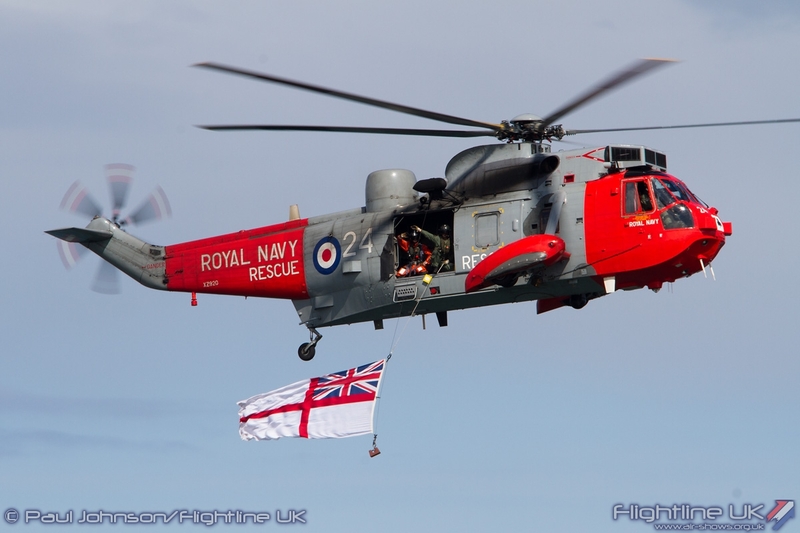 The Sea King HU5 will shortly go out of service as the Search and Rescue role is handed over to a civilian organisation. 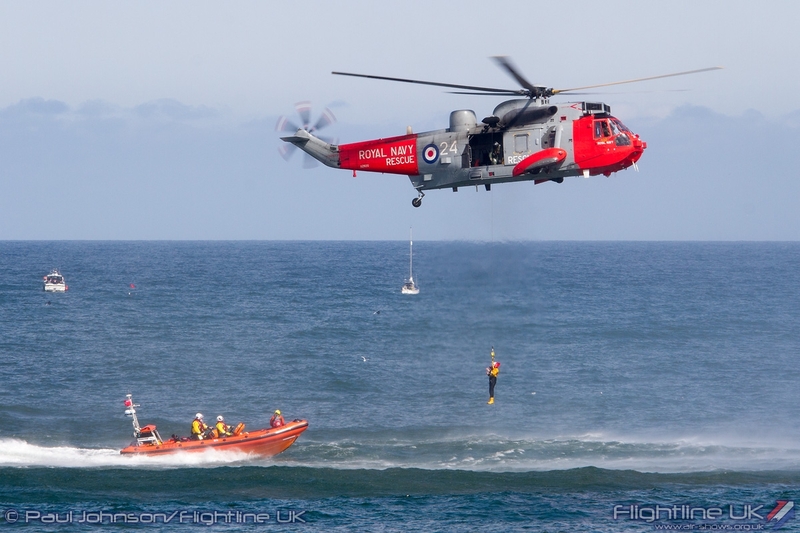 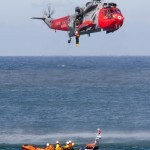 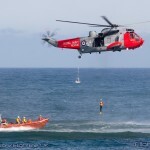 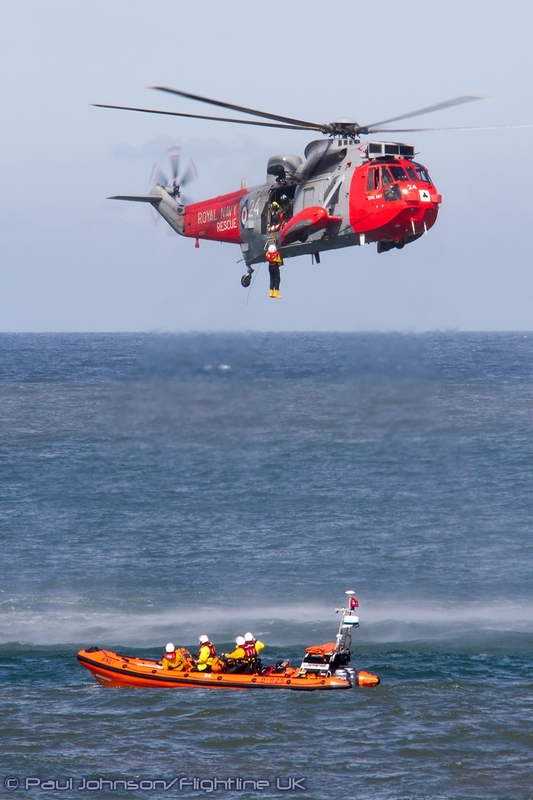 The Sea King performed alongside the local RNLI lifeboats demonstrating rescues from open water as well as the boats. 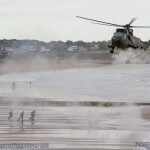 The finale to the weekend displays was a “Role Demonstration” by the Royal Marines. 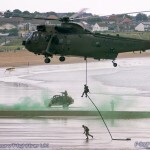 They were supported in their simulated operations by a variety of battlefield vehicles and a Westland Sea King HC4 of 848 NAS based at RNAS Yeovilton. 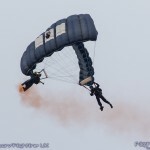 It was a loud and spectacular end note to each day. 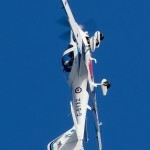 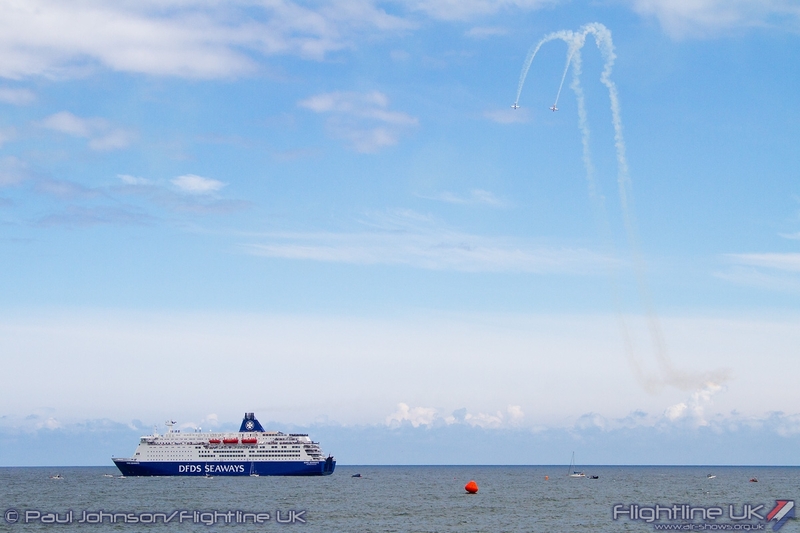 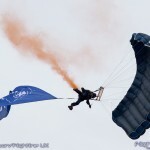 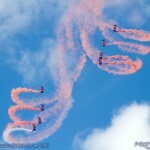 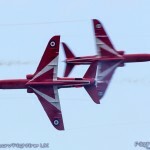 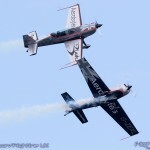 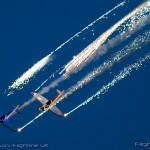 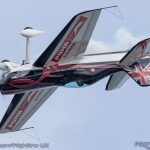 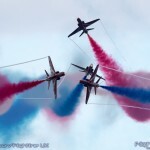 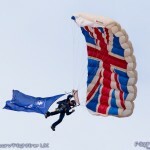 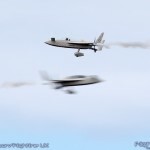 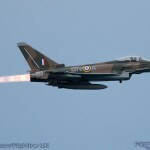 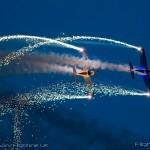 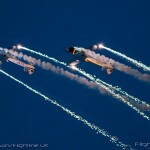 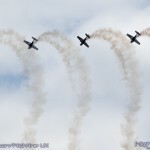 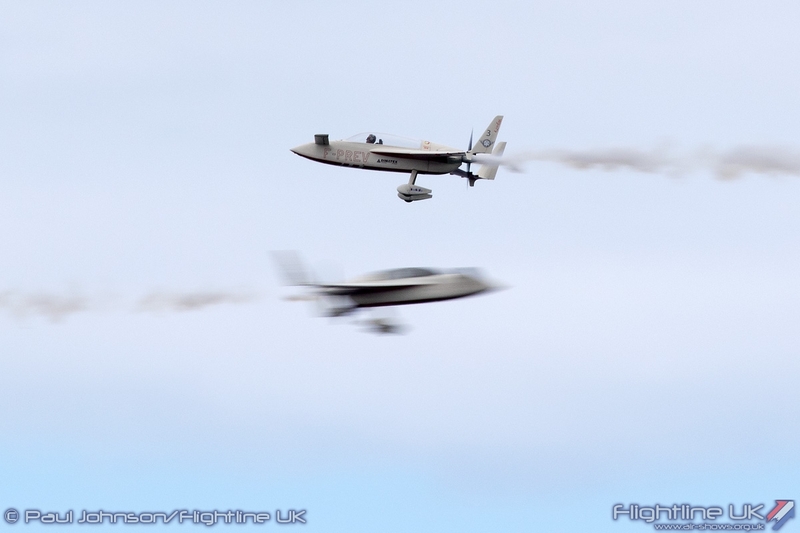 As ever, seaside airshow attract a wide range of civilian display acts. 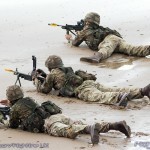 What really marked Sunderland out this year was just how international the line-up of civilian acts was. 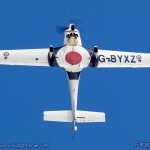 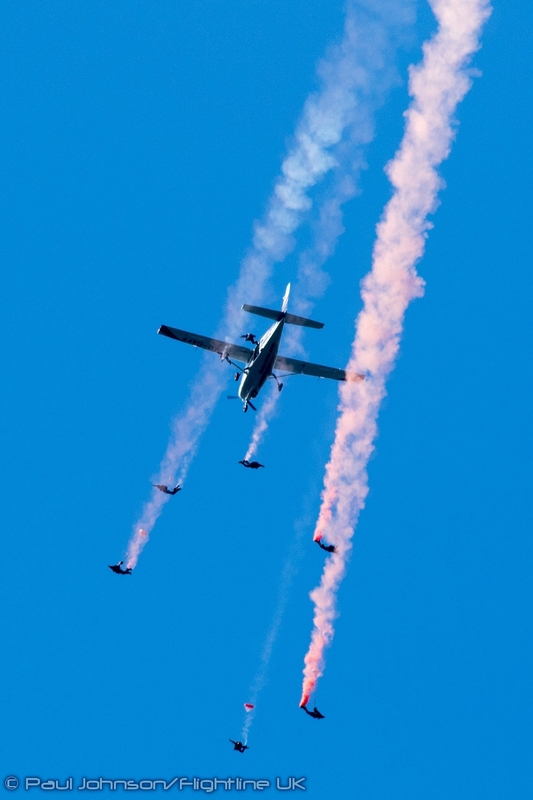 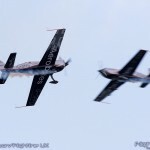 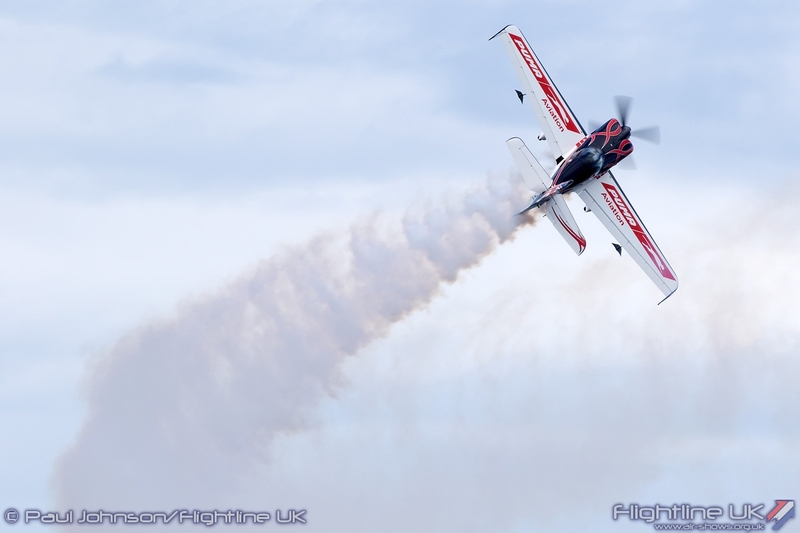 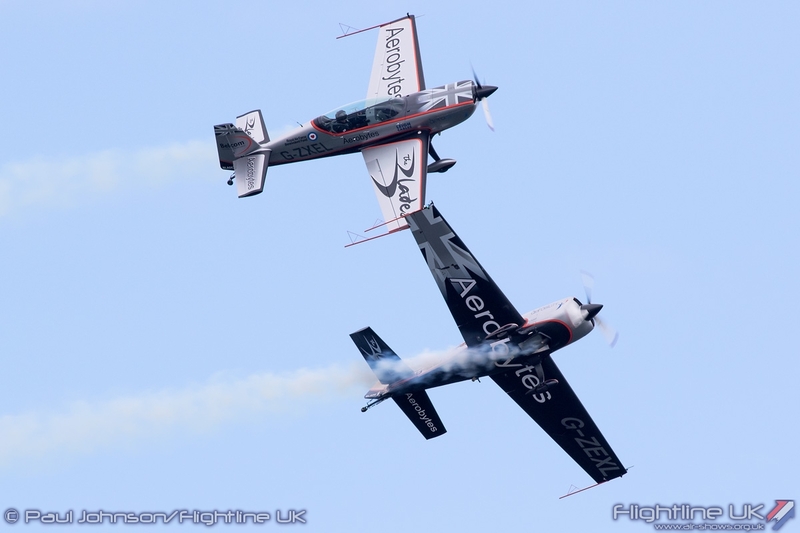 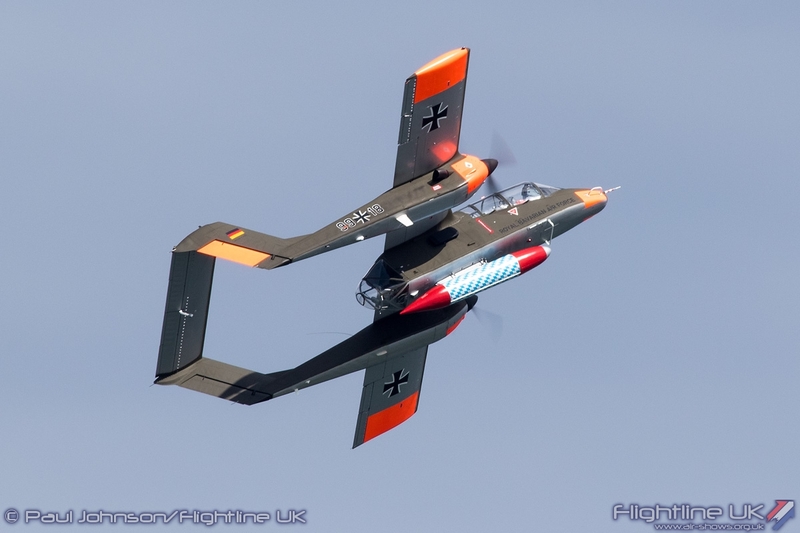 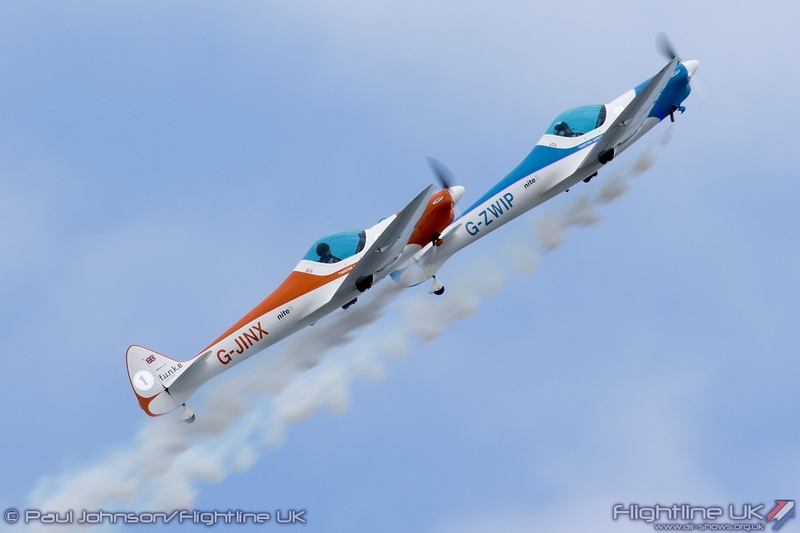 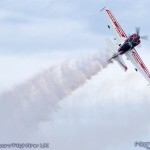 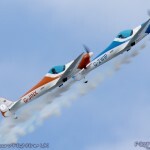 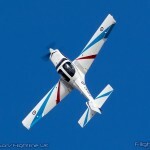 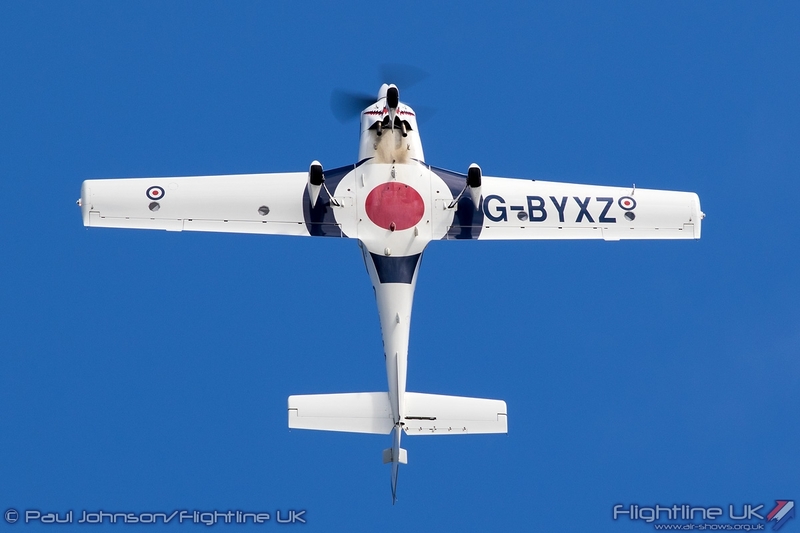 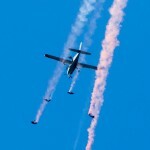 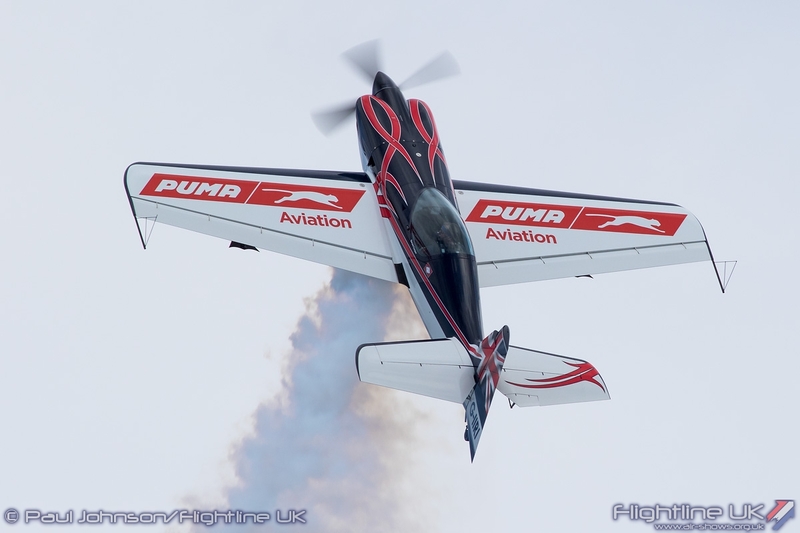 Top class aerobatics were brought the show by The Blades Aerobatics Team with their four Extra 300LPs and Gerald Cooper who gave an absolutely staggering display in his Xtreme Air XA41. 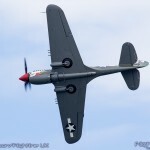 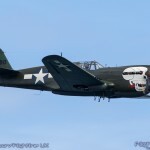 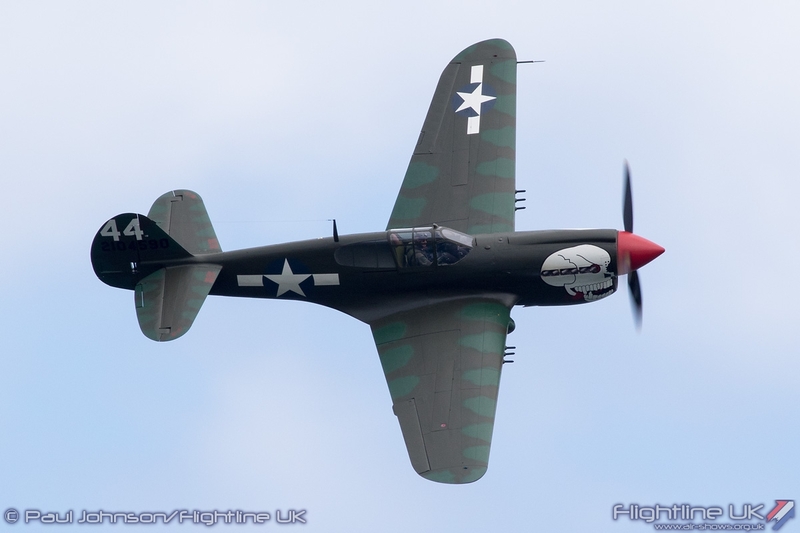 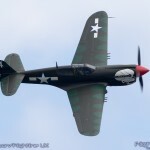 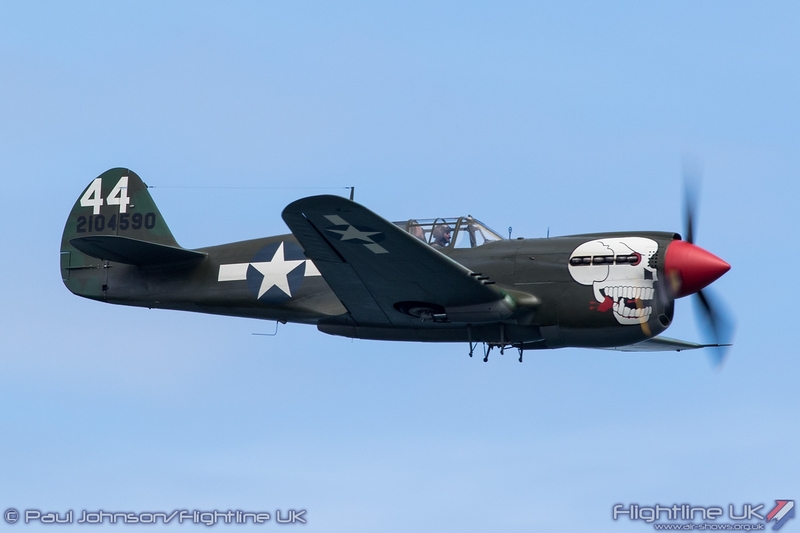 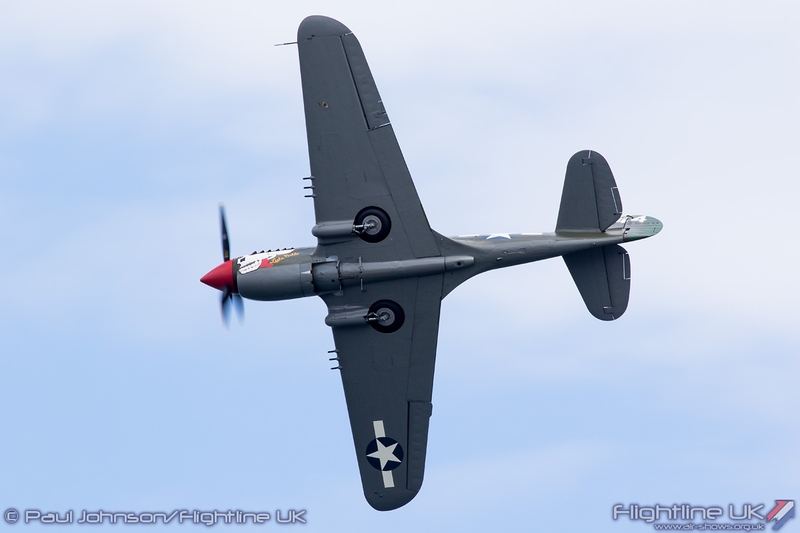 The only civilian warbird in the show this year was Curtiss P-40M Kittyhawk of the Hangar 11 Collection. 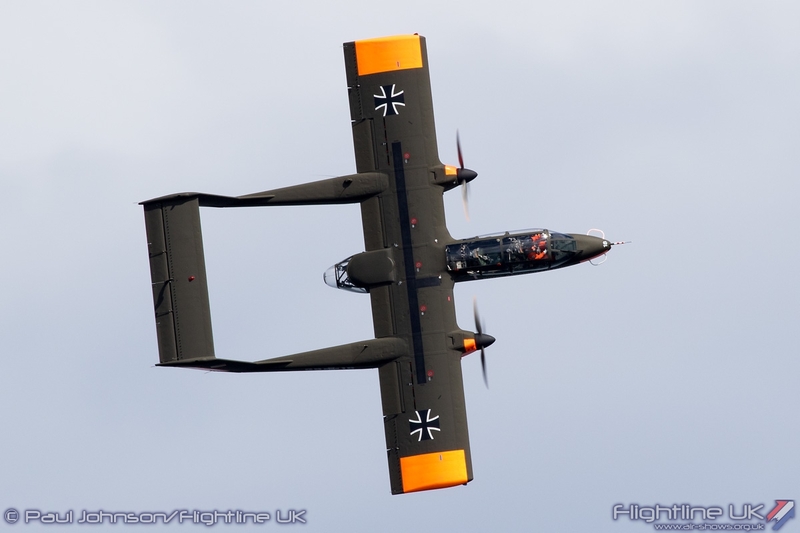 It was flown elegantly around the bay by owner Peter Teichman. 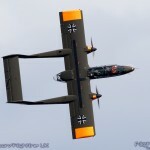 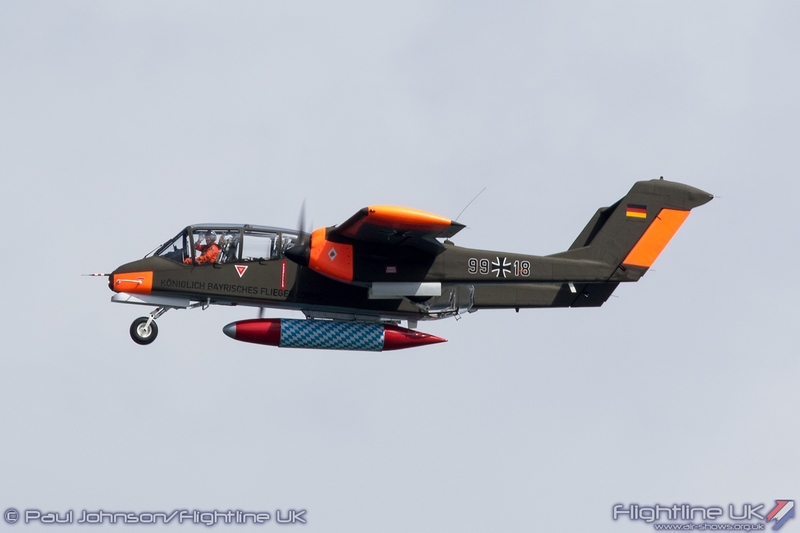 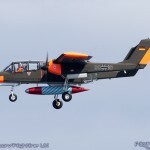 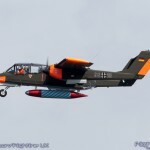 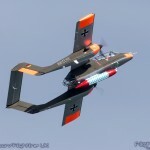 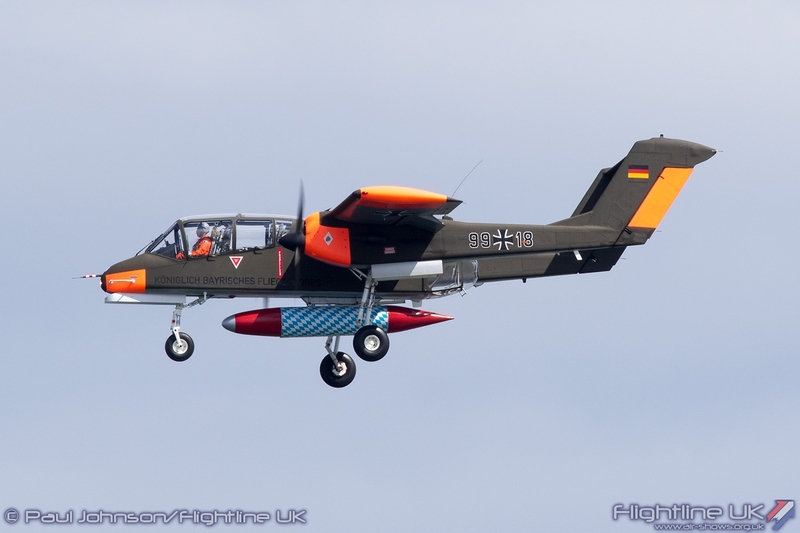 Belgian pilot Tony de Bruyn displayed his North American OV-10B Bronco at Sunderland for the first time. 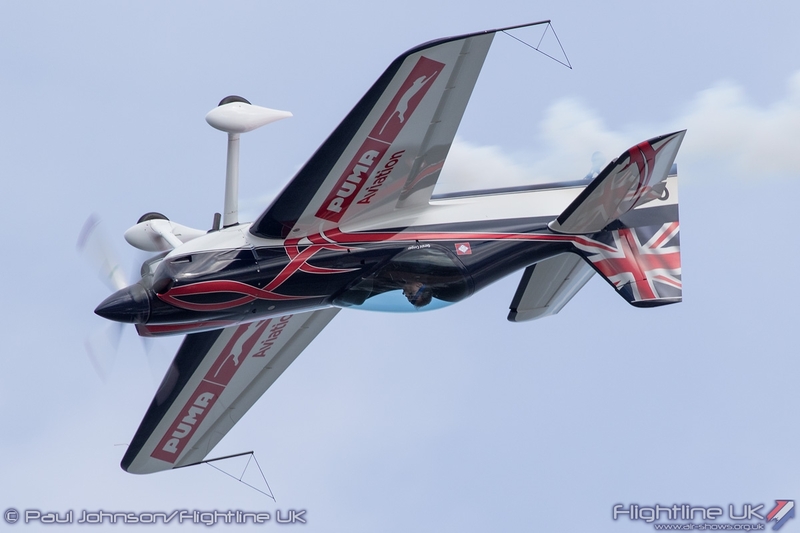 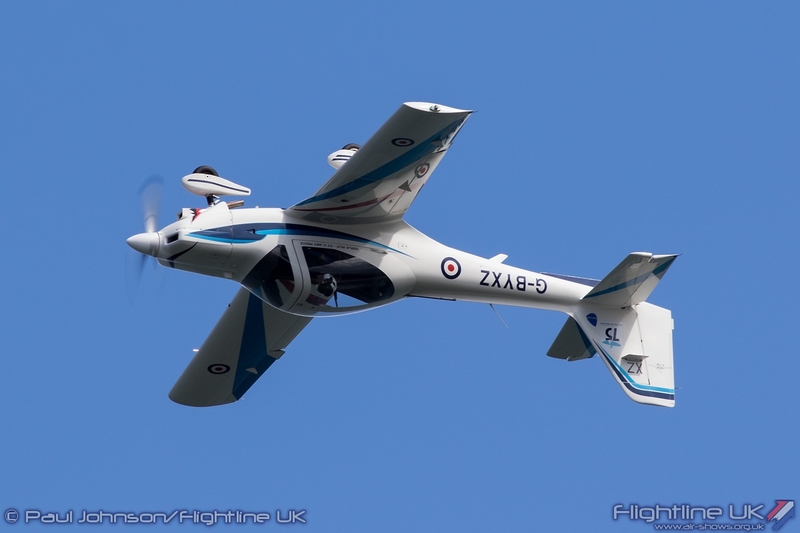 It great to see Tony and the Bronco Demo Team appear at more and more events in the UK with this very distinctive aircraft which always looks immaculate. 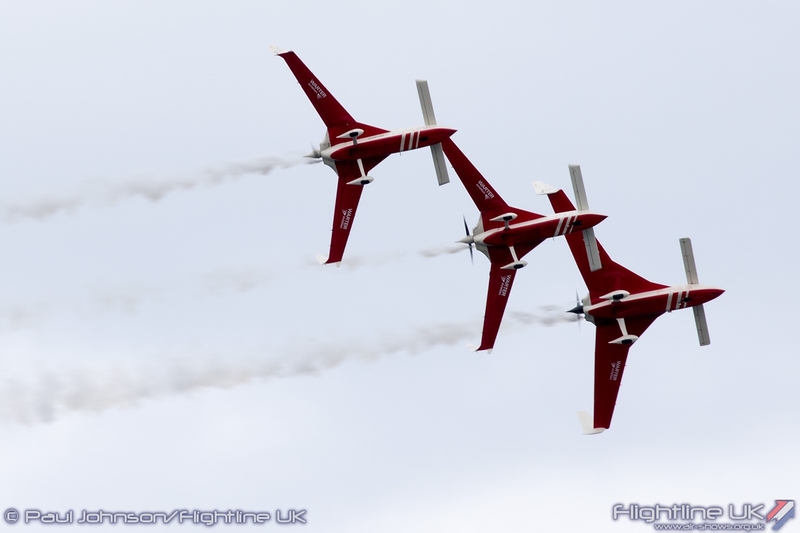 Another returning international team were the Norwegian Air Force Historical Squadron . 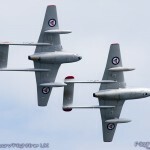 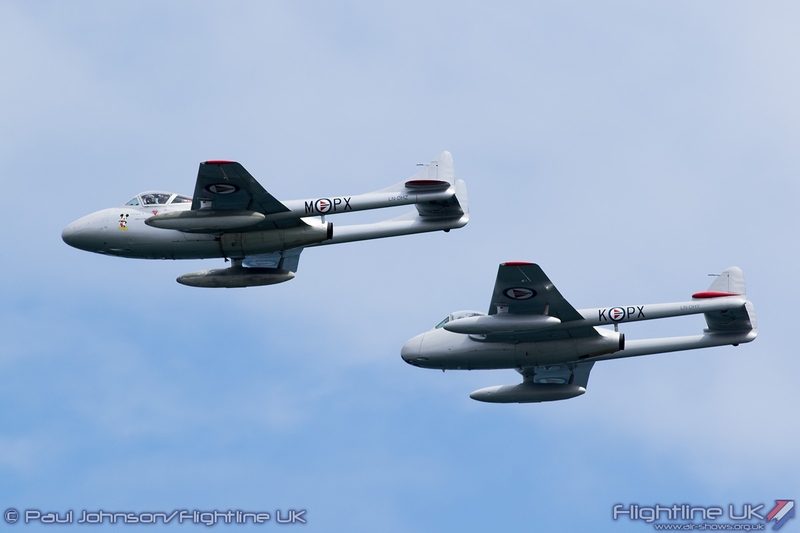 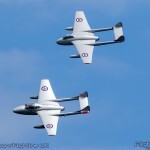 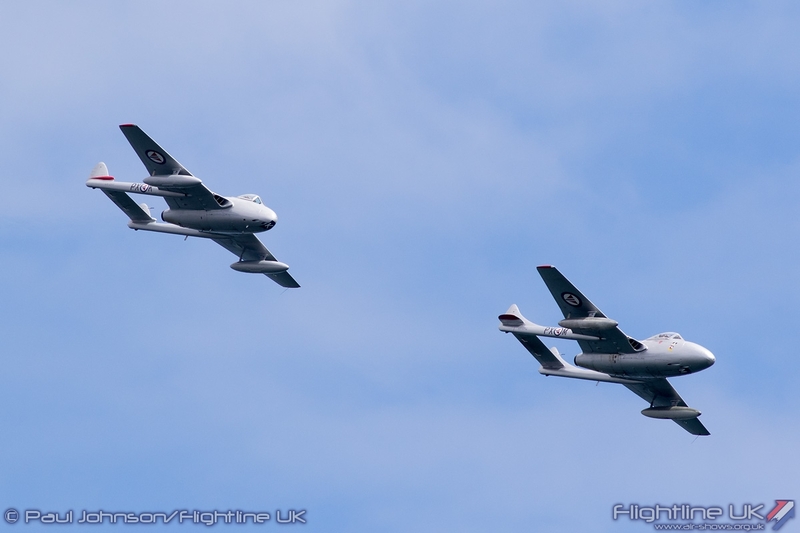 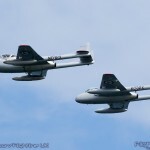 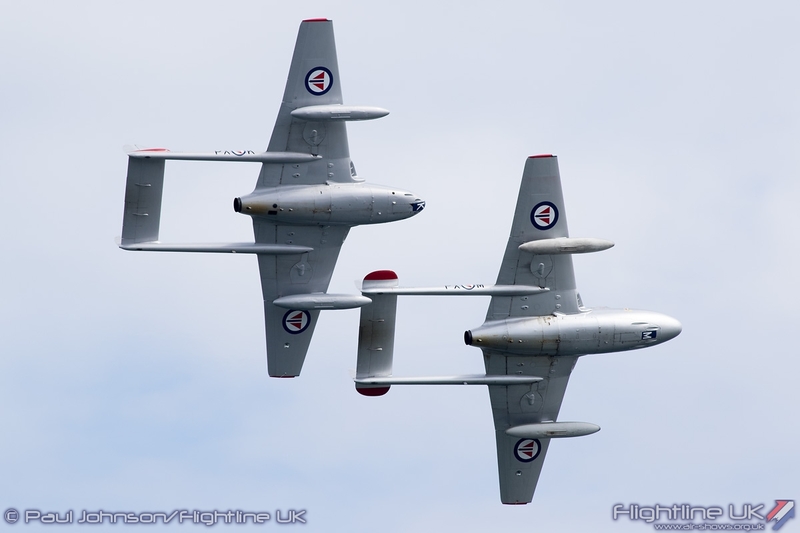 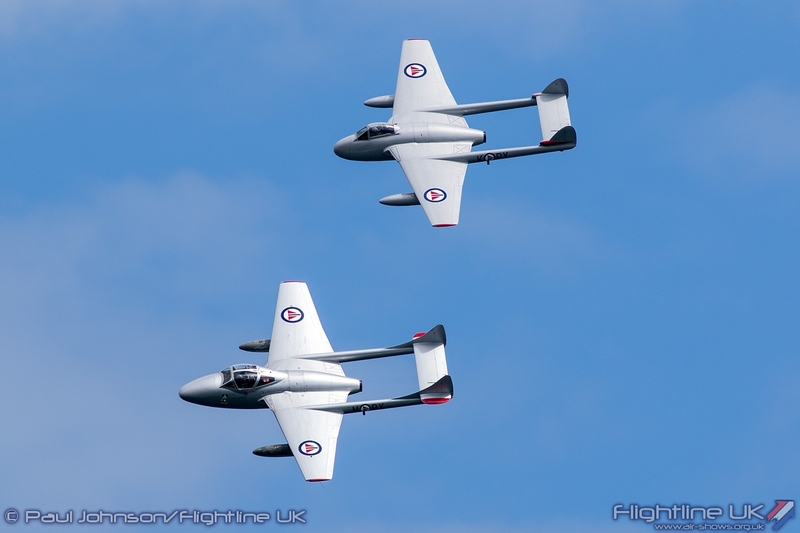 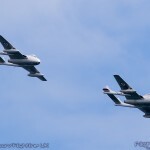 Their first display of the afternoon involved their familiar pair of de Havilland Vampire FB52 and Vampire T55. 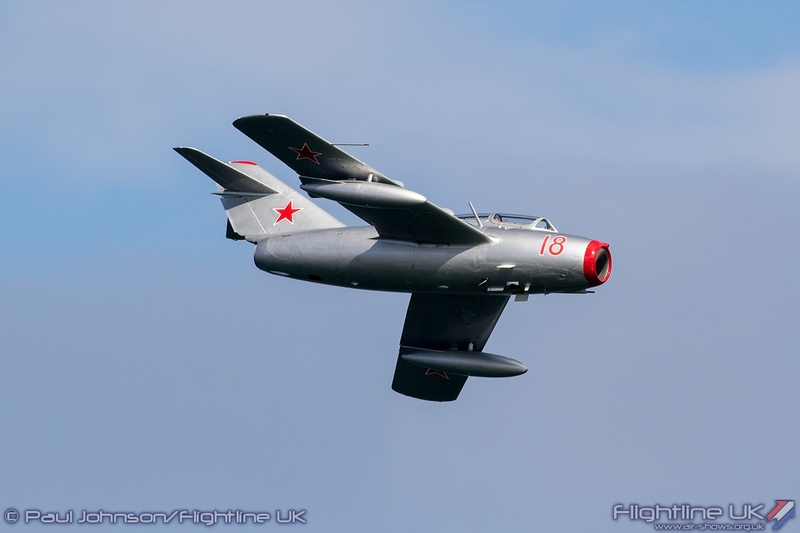 However, the star item of the afternoon was the Squadron’s Mikoyan-Gurevich MiG-15UTI which was making its UK display debut. 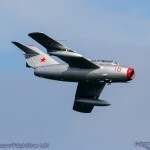 The Squadron has acquired the MiG-15 to represent the type of aircraft the Royal Norwegian Air Force encountered during the Cold War in policing the Northern European skies. 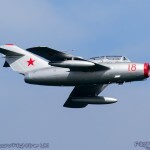 The aircraft has been finished in the markings of “Red 18”, the personal aircraft of Yuri Gagarin who was the first man in Space. 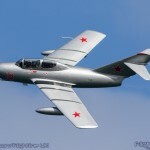 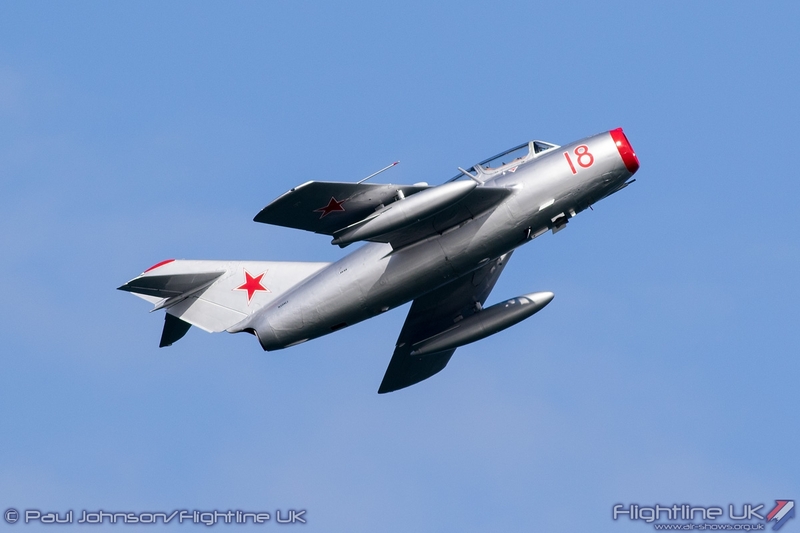 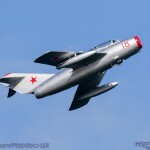 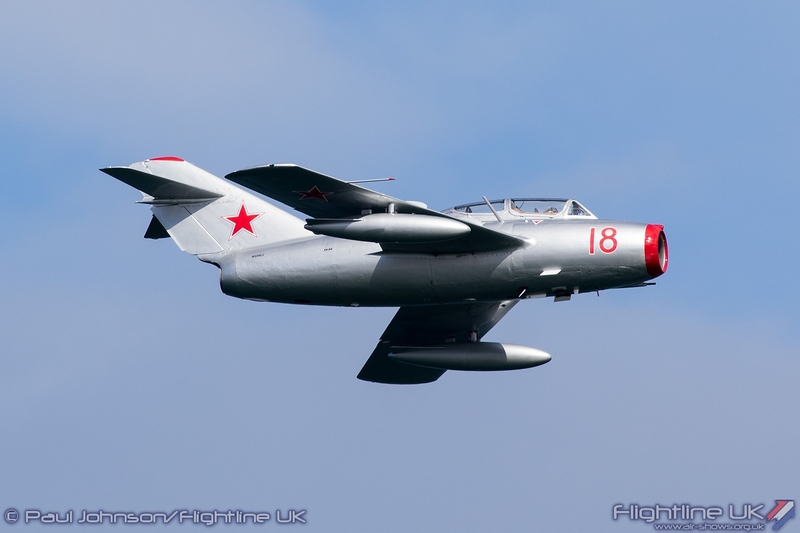 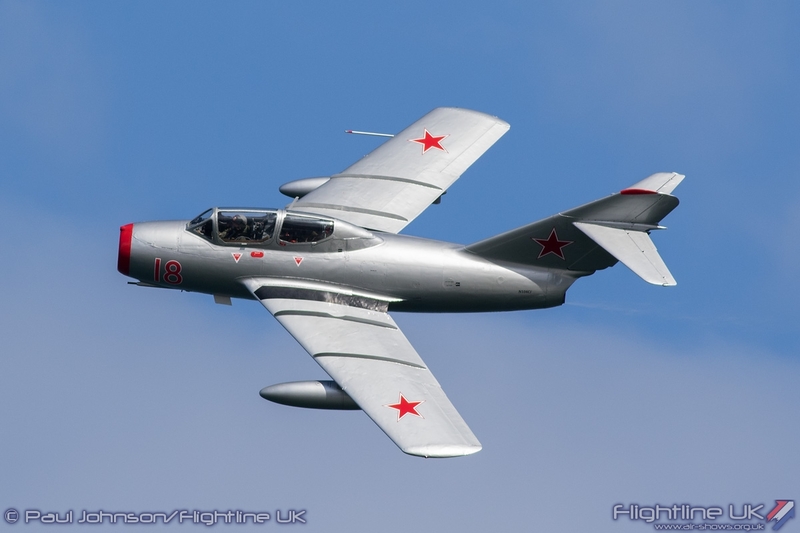 It has been several years since a MiG-15 has been seen in UK skies, the last being the example operated by the Old Flying Machine Company in the mid-1990s. 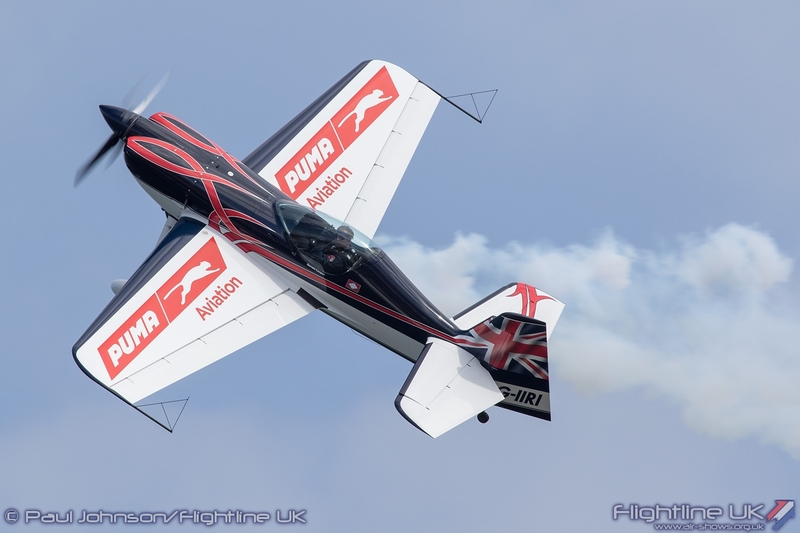 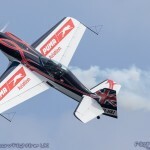 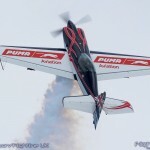 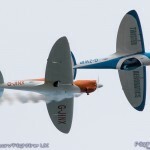 Kenneth Aarkvisla put on a very smooth solo display in the MiG which will be touring many of the UK’s big shows throughout August and September. 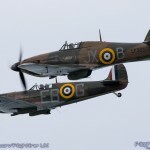 Sunderland International Airshow saw a great mix of flying over the three days with some very interesting and different aircraft on display. 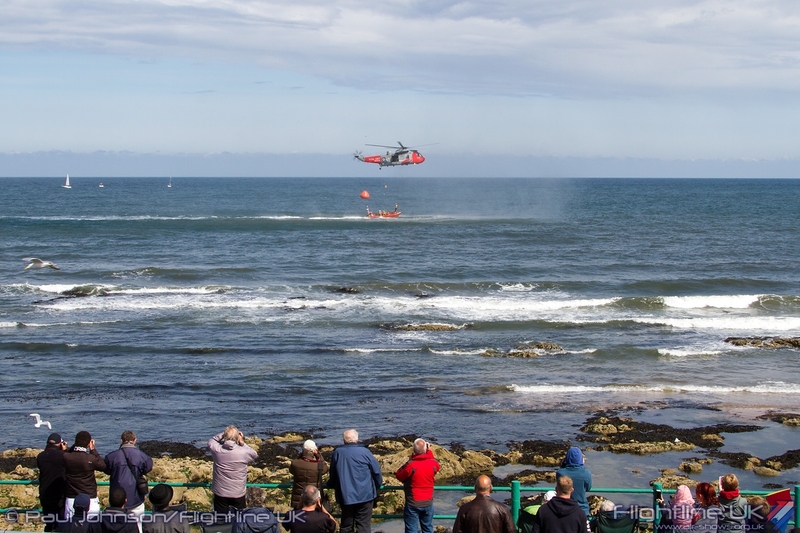 In the great surroundings of Roker and Seaburn seafront, the event is of one of the annual highlights of the year for the North East and it is not hard to see why.